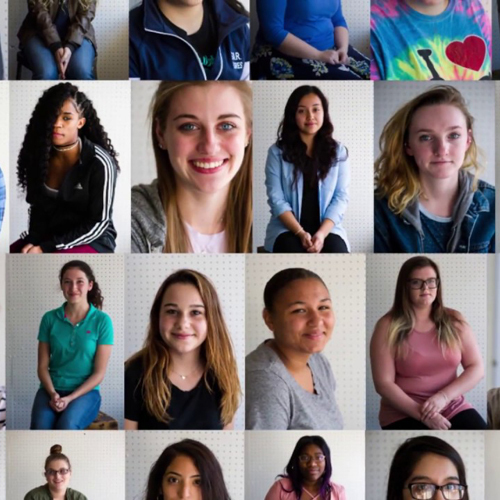 The 2018 Governor’s Awards for the Arts was a one of the largest projects CoalCreative has ever worked on. 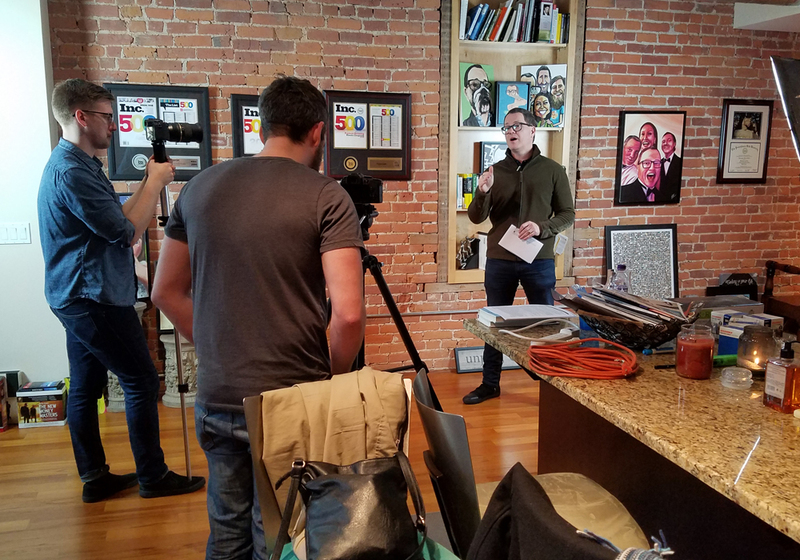 The team was tasked with creating not only a short film that showcased the arts thriving all throughout Pennsylvania, but the 2018 logo as well. The logo features the year, 2018, filled with the names of Pennsylvania’s 67 counties. This directly tied back to the short film CoalCreative created for the Governors Awards, as the video featured one arts WOW factor from each county. The color scheme was pulled from the artist’s palette that creates the 0 in 2018. The 2018 Governor’s Awards for the Arts was a one of the largest projects CoalCreative has ever worked on. 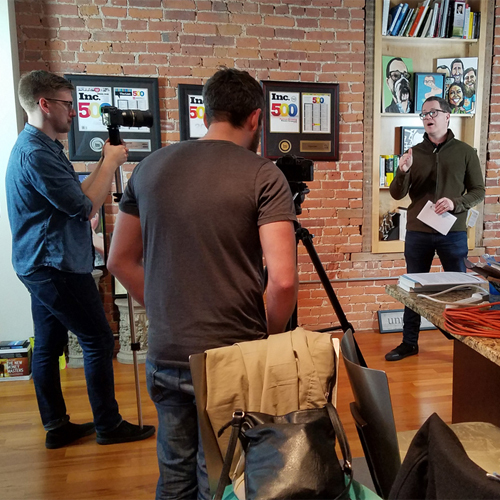 The team was tasked with creating not only a short film that showcased the arts thriving all throughout Pennsylvania, but the 2018 logo as well. 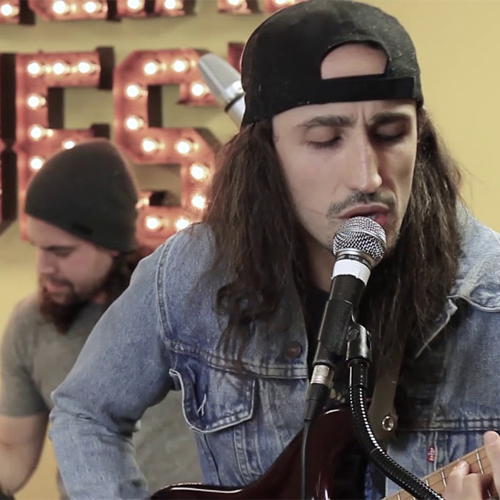 The short film highlighted the arts from all 67 counties within the Pennsylvania Commonwealth, interviews from notable arts-related individuals, creative stop motion, and b-roll throughout Luzerne County. 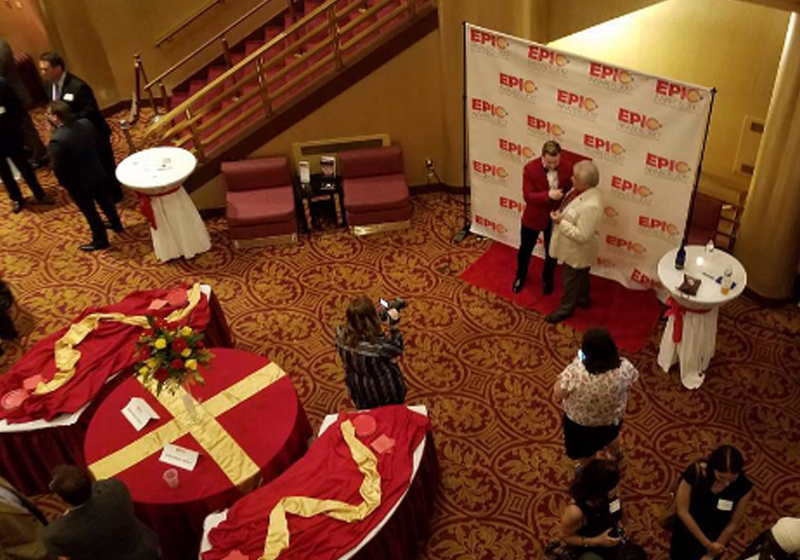 The film was debuted on the big screen at the Ritz Theatre and highlighted at the official 2018 Governor’s Awards for the Arts event one week later. 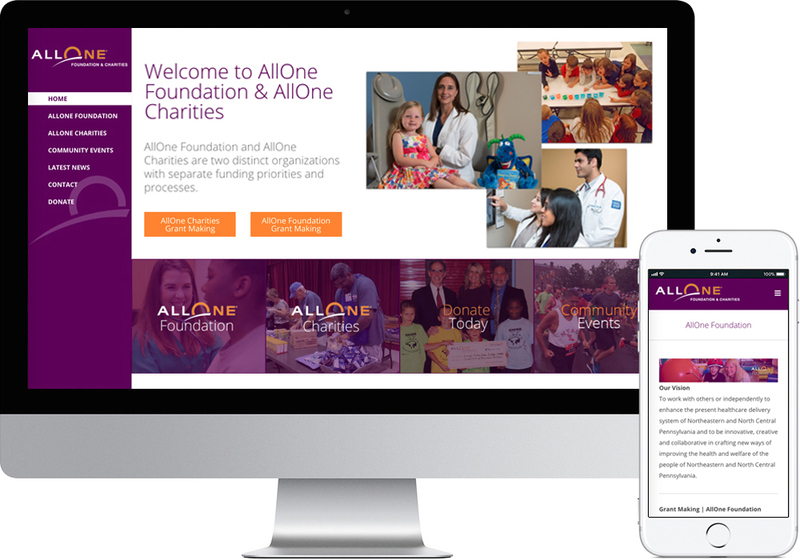 AllOne Foundations and Charities is an organization that helps individuals without healthcare have easy and simple access to it. 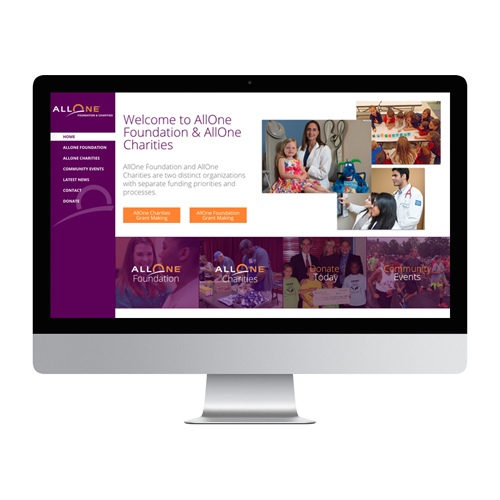 The AllOne Foundations and Charities website was a labor of love from CoalCreative as working with organizations like AllOne who support those in our community who need help. 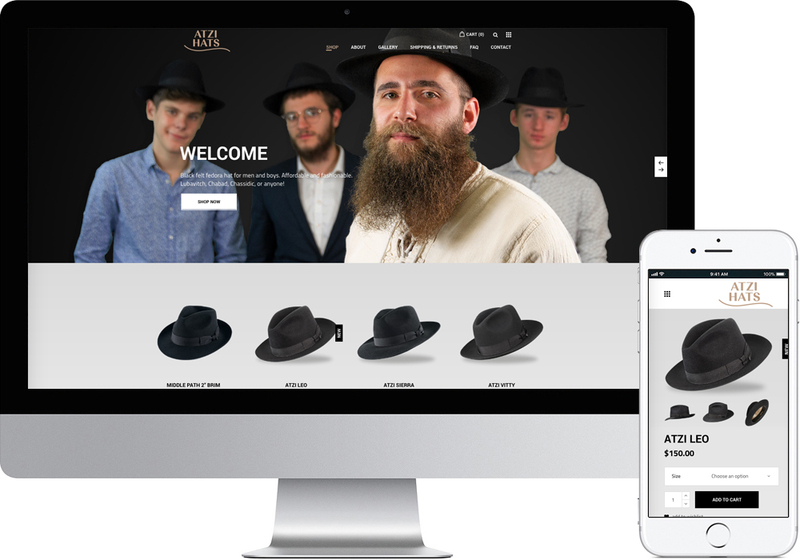 Atzi Hats Our goal is to create affordable hats fashioned with care and consideration to lifestyle and detail, from the tip of the crown to the trim of the brim. When they came to Coal Creative looking for a website face lift and new product photos ,clean and classy were key focuses of the client. They wanted the product to be trusted by potential customers through updated photos. The Atzi Hats team even came in for a photo shoot to showcase the hats themselves! 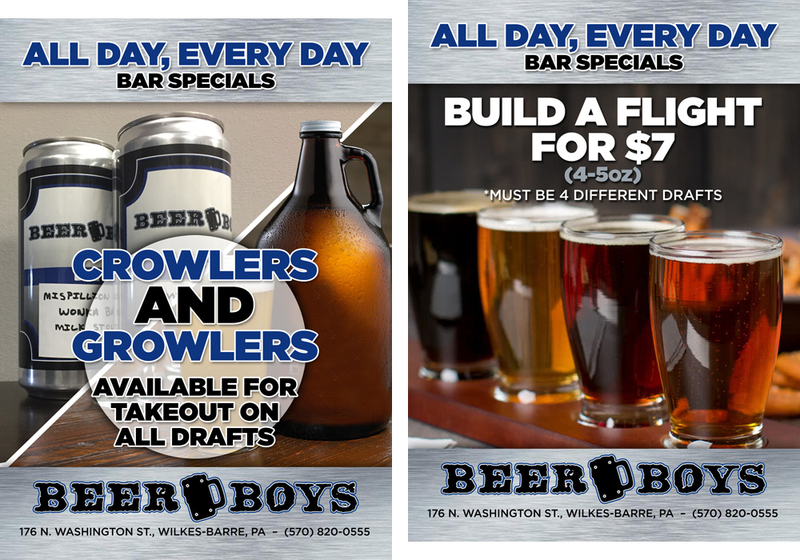 One of CoalCreative’s favorite print jobs was creating the All Day Every Day specials menus for Beer Boy’s. 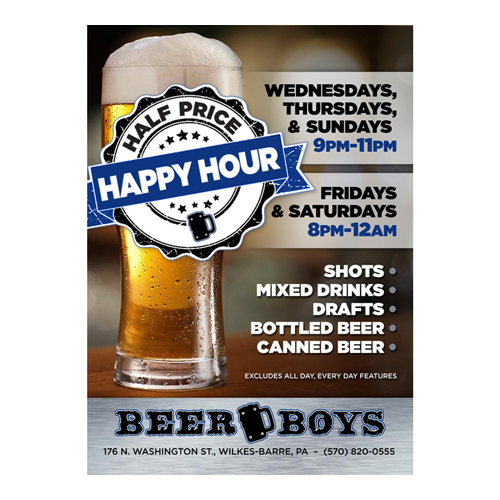 Beer Boys used to print these daily, but once they wanted something laminated, they wanted something that would stand out and be easy for customers to navigate. 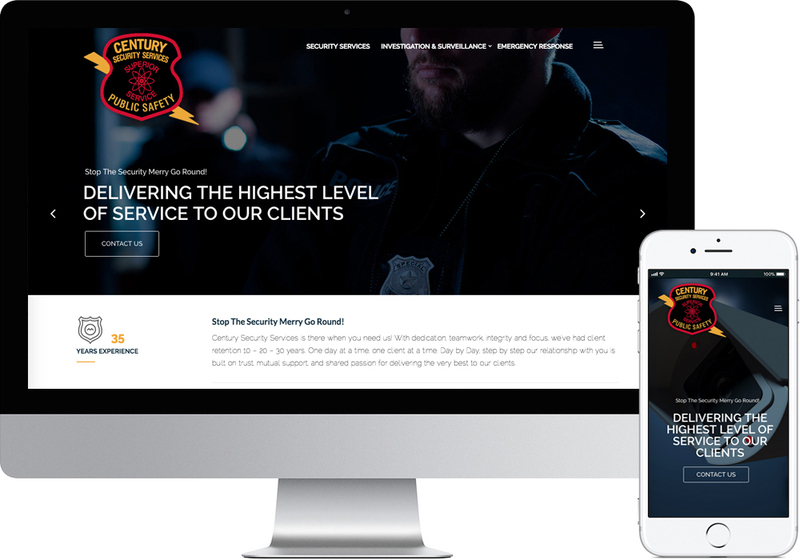 CoalCreative was honored to have the opportunity to redesign Century Security Services website. This website design features many interactive and moving pieces, such as the Years Experience ticker on the homepage. Did you know our Owner/CEO used to be a professional independent wrestler for 8 years? That is where this relationship bloomed from! 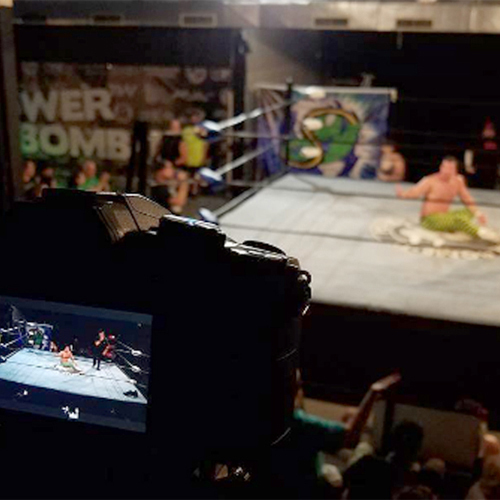 Each month, Chikara, an American professional wrestling promotion based in Philadelphia, Pennsylvania, livestreams from their wrestler factory. 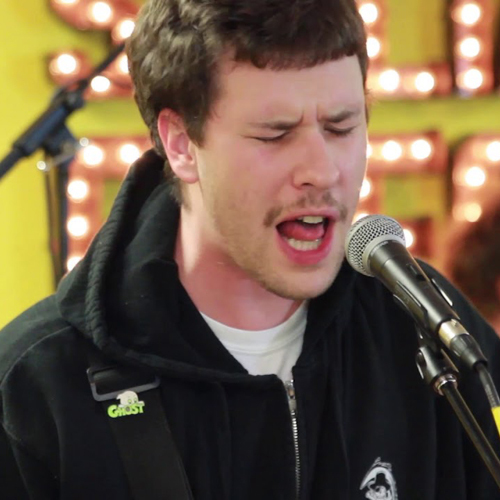 We pack up our live streaming equipment and take the trip down to make this possible! 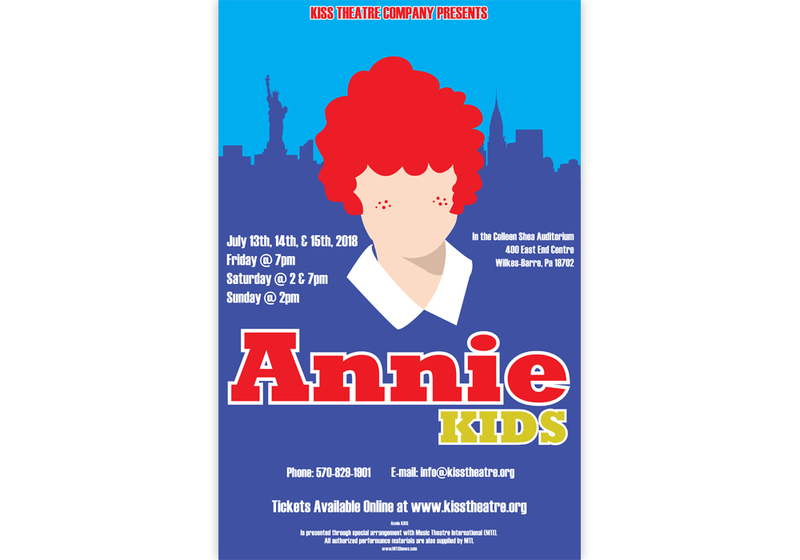 Lower thirds, teaser videos, and more are incorporated throughout each show to keep the audience members watching from home entertained and coming back for more! Being one of our monthly live streaming clients, Chikara also looks to us for various print and branding designs as needed. 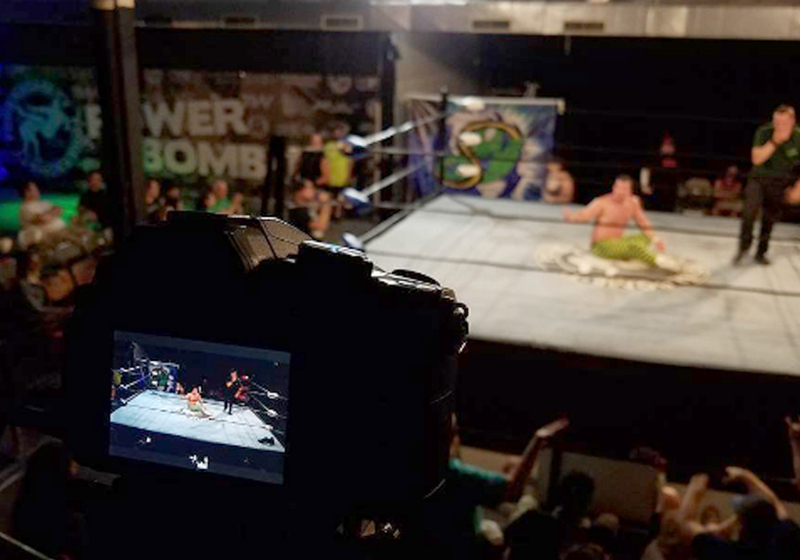 In 2016 they were hosting a local event near CoalCreative and they were in need of event tickets showcasing various wrestling characters and general event information. The mission of Church Services Group is simple: to provide new life for religious relics and artifacts. 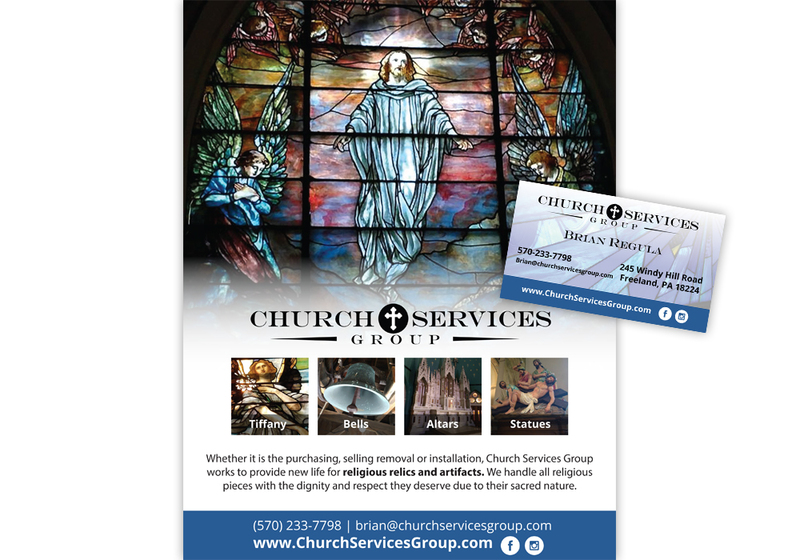 CSG handles the purchase, removal and installation of large bronze church bells, altars, concrete statues and stained glass windows. Our team pulled inspiration from this mission to create a vibrant logo featuring the company’s initials within a stained glass window. 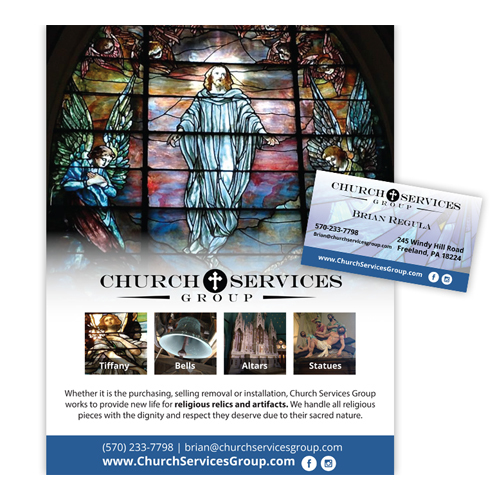 Church Services Group’s Stationary was one of multiple pieces of branding we created for them. We made sure to keep their stationary, business cards, logo, and website all cohesive to their brand. 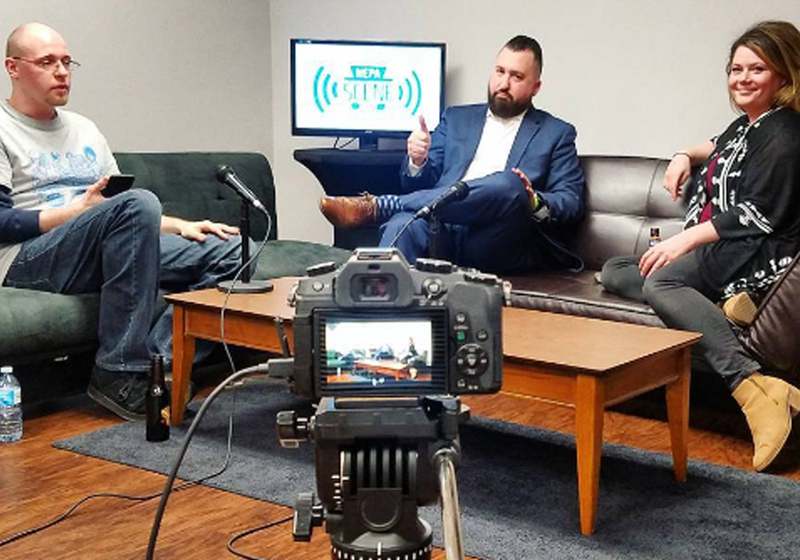 In 2017, our team decided to launch a short series consisting of 4 episodes to provide information about using social media and other digital marketing methods to help promote small businesses. The show aired 4 consecutive Mondays at 10AM EST. We accepted audience questions and tackled issues like Facebook cover videos and maintaining a consistent image across social media. In November 2017, we invited budding business owners to take part in The DIY Studio Entrepreneurship Series LIVE. 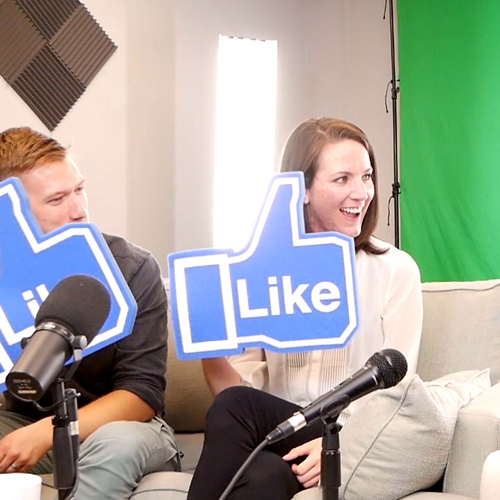 We hosted three events that streamed live on Facebook for three consecutive Thursdays at 7PM EST. During the show, viewers heard stories behind guests’ entrepreneurial projects, took part in a Q&A session and competed in themed games. 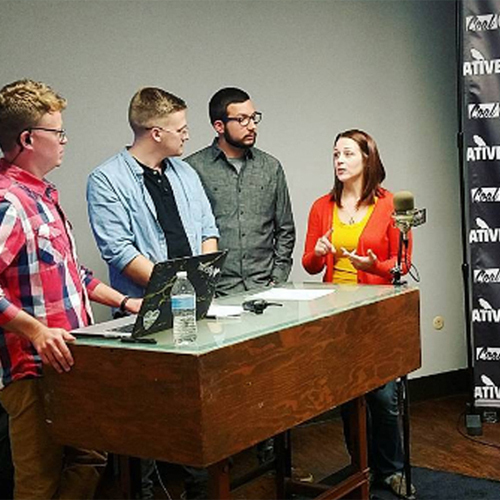 The three locally-owned small businesses that participated were Tunefly, The Game Chateau, and Kraken Boardsports. 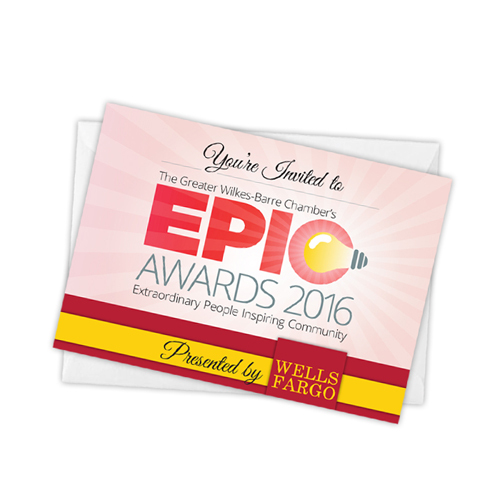 The premise of the 2018 EPIC Awards promo video came to our videographers during a preliminary meeting at the GWB Chamber of Commerce. They thought it would be hysterical to showcase F.M. Kirby Center General Manager Will Beekman training to accept his first long awaited award. From there, a Rocky style promotional video came to light and brought laughter to everyone who got to see it. 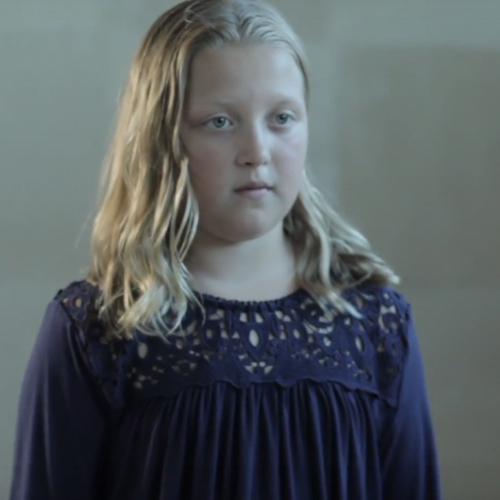 The EPIC Awards promo video isn’t the only video that CoalCreative worked on for the ceremony. Each award winner has a video that is shown at the ceremony before they are handed their physical awards. These videos are comprised of stories, memories, and well wishes from close friends, family and colleagues of each recipient. 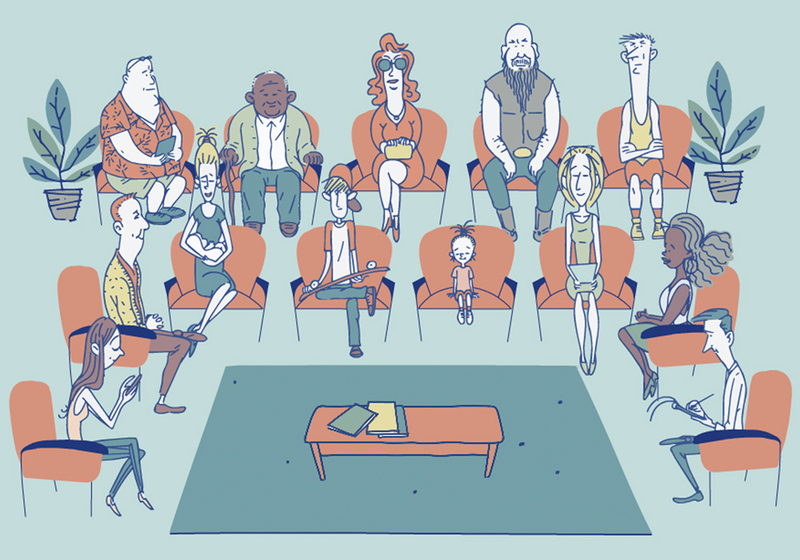 These videos are a great example of CoalCreative’s continued goal of wanting to tell a story through our work, not to mention they are typically tear jerkers. 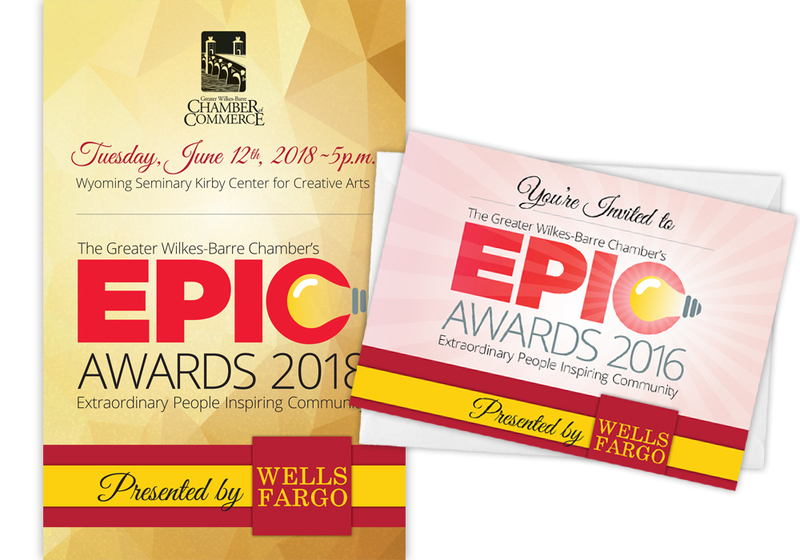 The EPIC Awards Program and Invitations are an great example of CoalCreative’s ability to create print and branding pieces that are cohesive and are created and organized in a user friendly way. 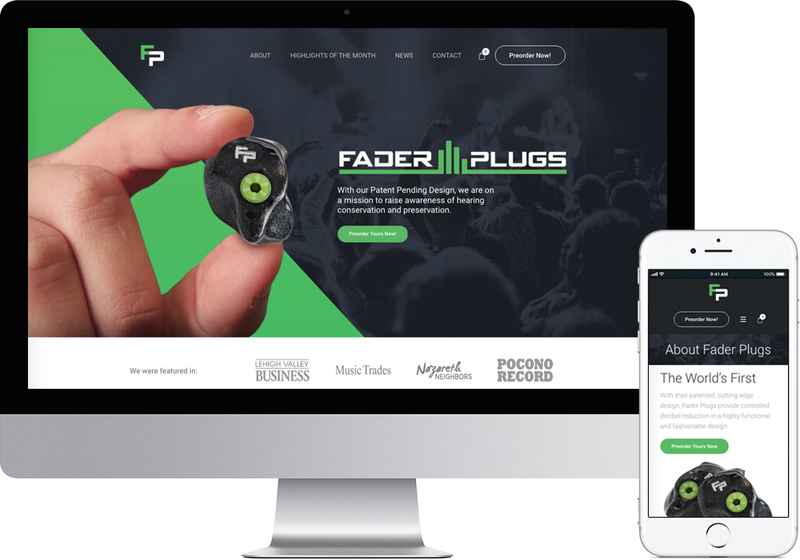 When Fader Plugs won the 2017 TecBRIDGE Business Plan Competition, one of the services won was the opportunity to work with CoalCreative. They wanted us to create a website for them to go along with the release of their Kickstarter. The idea was to showcase their product more and we set the site up so that when the product is actually available people will be able to easily order them right from the site. 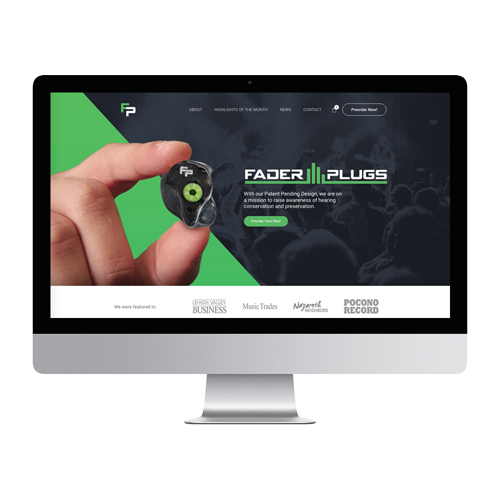 We had a great time working with the team at Fader Plugs to create a sleek, functional website for their revolutionary product. One of the most common misconceptions about NEPA is that there is nothing to do here. 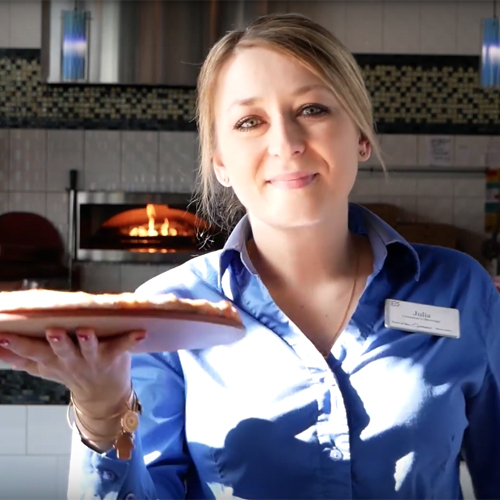 Visit Luzerne County set out to change that notion with their new Fun in LC campaign, which CoalCreative helped with by creating a video and new banner ads. The video highlights their various services that locals can use to find whats going on in their area with the click of a button. 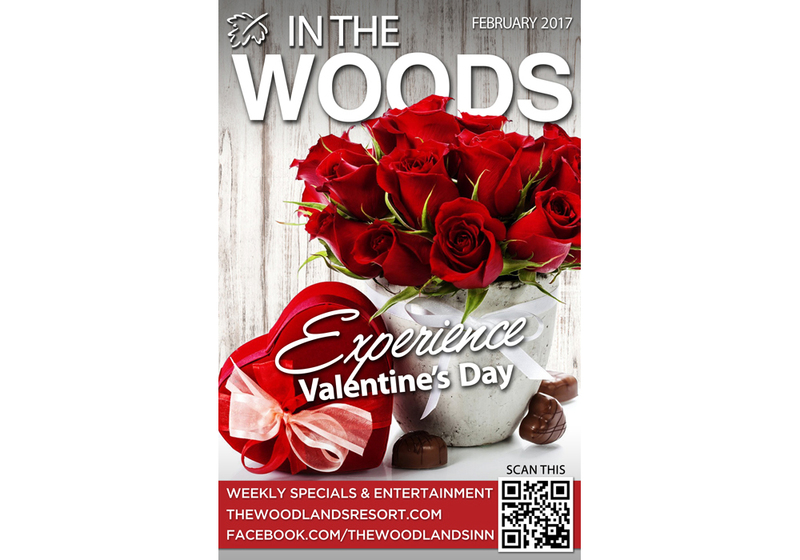 The video highlights the multiple ways one can access Visit Luzerne County at any time to find whats going on in their area. 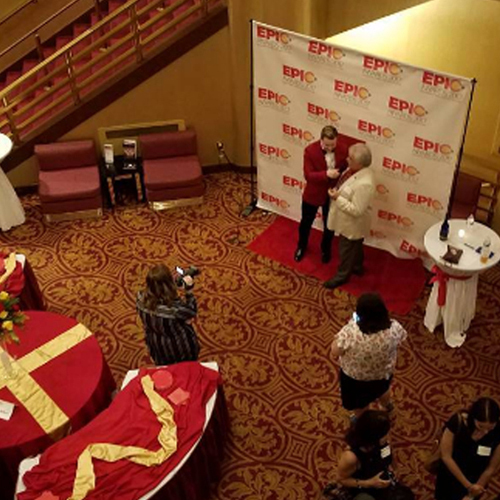 With the video also came the hashtags #hereinLC and #nearLC, which they are hoping individuals use when they post on social media about all the fun things there are to do in NEPA. 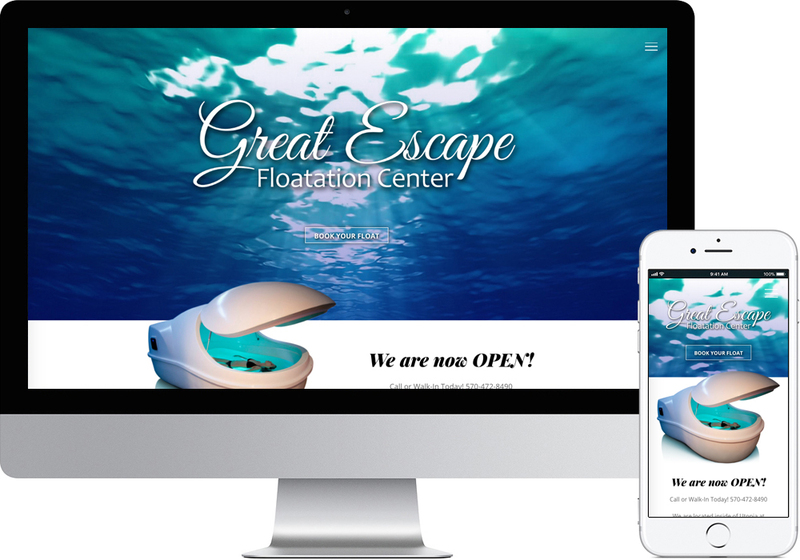 Great Escape Floatation was a great client to work with because they are one of the first Float Pod service providers in NEPA. 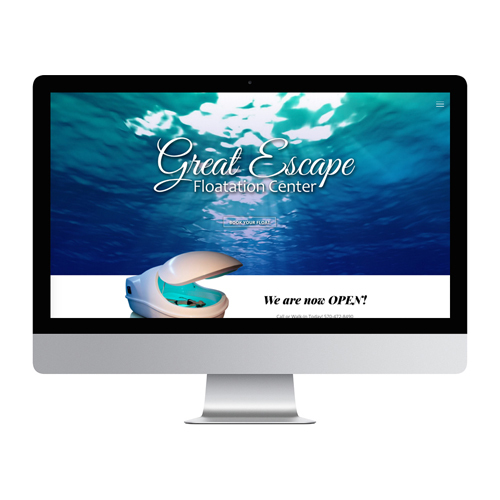 They wanted their website to represent the luxury and sense of calm you feel while floating in their pods. CoalCreative created a website that moves and flows as you scroll, reminiscent of the feeling of floating. At CoalCreative, we thrive on getting the opportunity to work on something a little bit different. 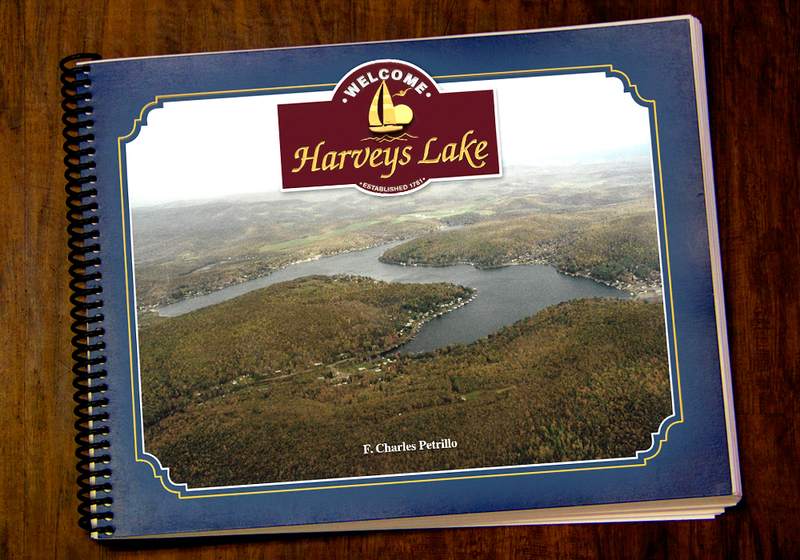 So when our senior designer was tasked with creating the e-edition of a book about Harveys Lake, he put his best foot forward to create something compelling and easy to navigate. The author of the book was thrilled with the end result, and it still holds the title of one of Matt’s favorite website’s he’s ever created. 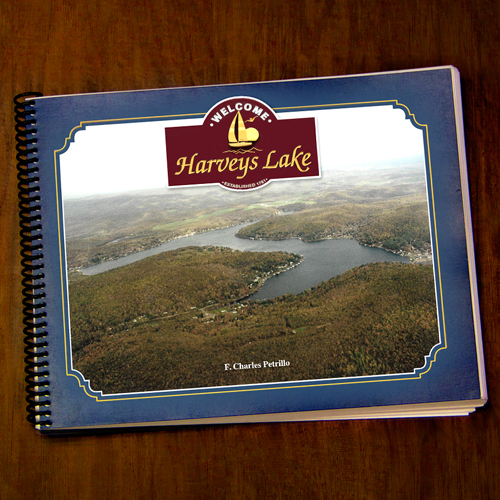 Charlie Petrillo came to us looking to turn the history of Harvey’s Lake into a website, downloadable book, and a print copy of that book. 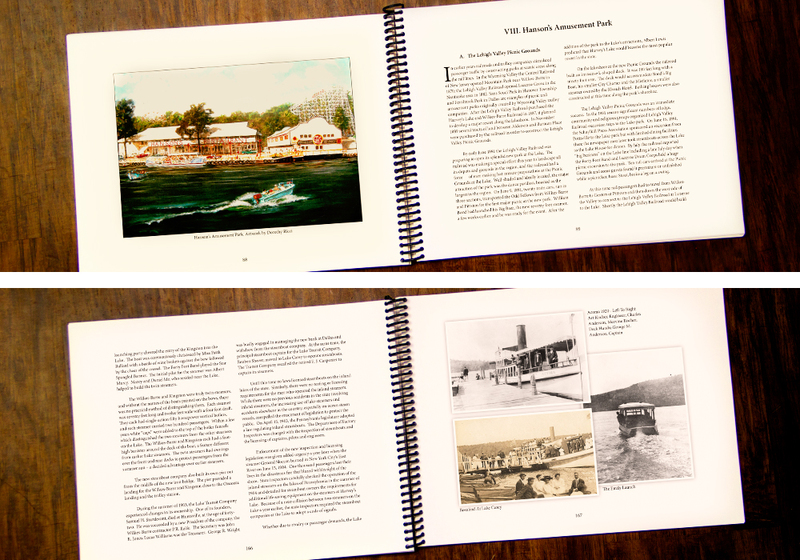 Our lead designer took on this project with excitement to create the cover pages, logo, and the layout of the entire book. We thoroughly enjoyed learning fun facts about the lake along the way too! Cathy Pemberton reached out to us from Massachusetts in need of a logo and website for her new venture. 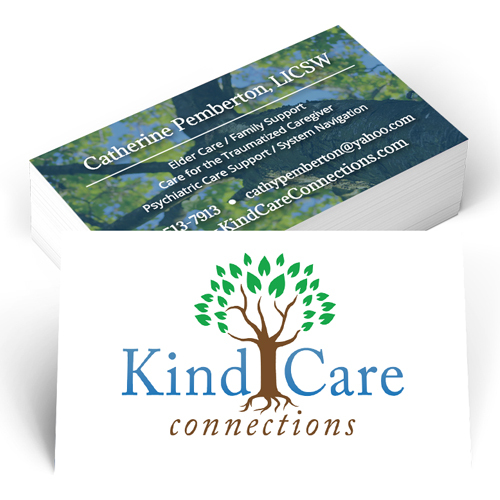 Her business, Kind Care Connections, is a full-service company that provides complete consulting services to individuals, families, and systems. Cathy wanted a simple web layout that could get information to her potential clients quickly and clearly. 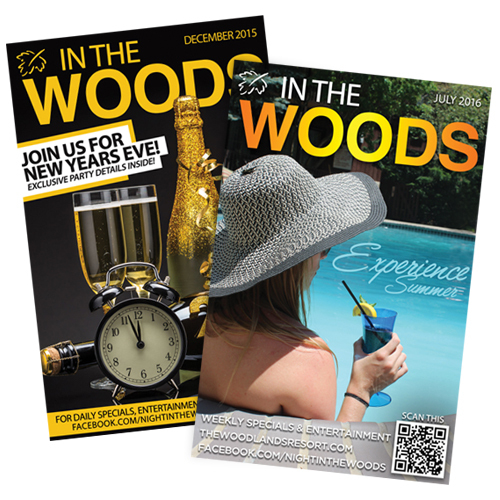 She let us know she also a huge fan of what trees and nature represent to her and her business so we were sure to incorporate that feel into her overall branding and design as well. 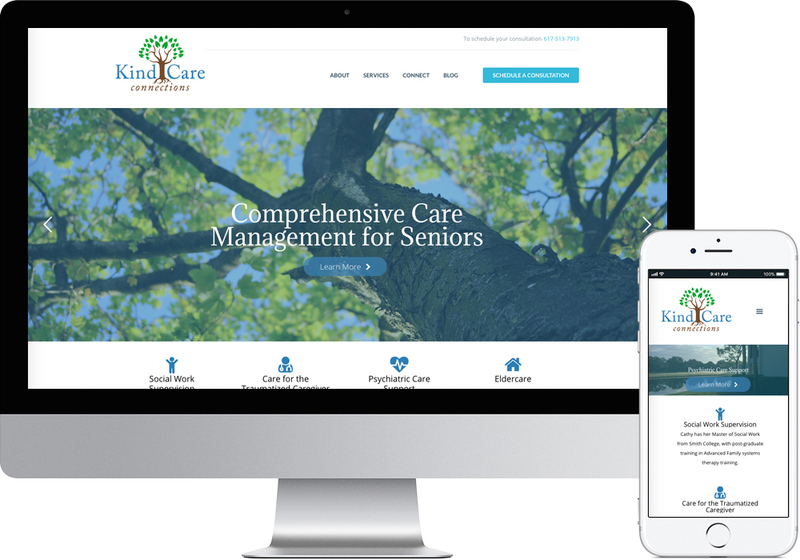 KindCareConnections,LLC is a full-service company that provides complete consulting services to individuals, families, and systems. 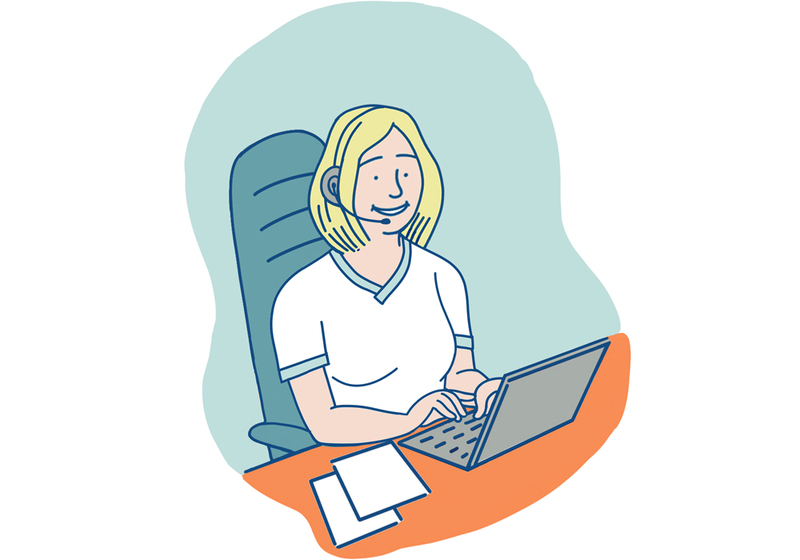 Cathy came to us in need of a logo and website. It was important for the logo to represent growth and solid support while using a nature-based feel and color scheme. 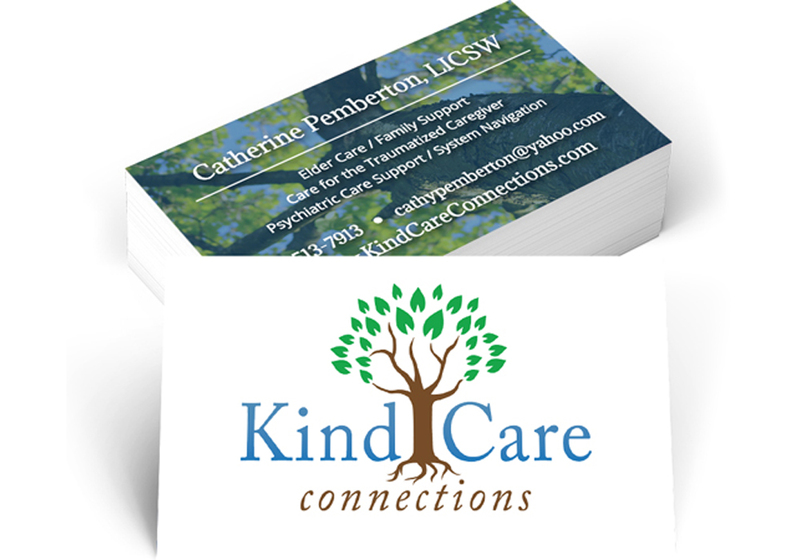 Kind Care Connections Business Cards stay cohesive to the branding we created for the organization, including their website and logo. 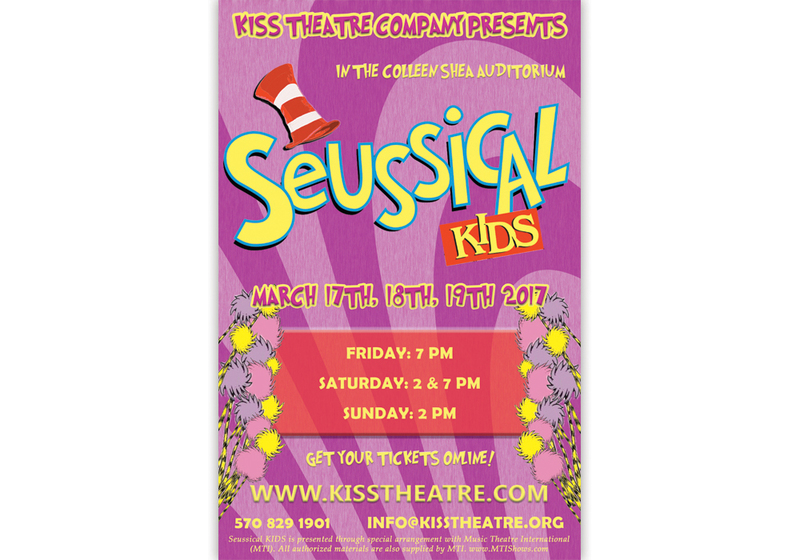 Kiss Theatre is a non-profit children’s theatre. 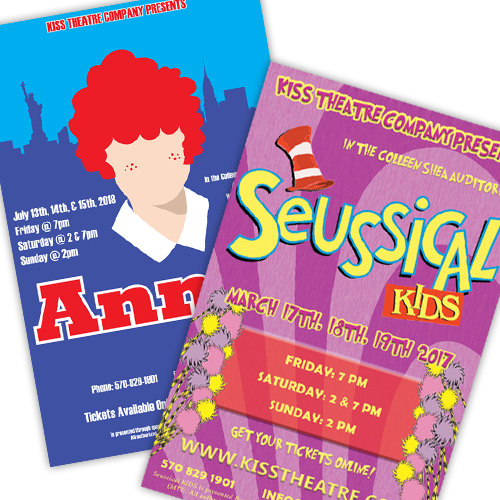 All of our graphic design interns over the years have gotten the amazing opportunity to design posters for their productions. 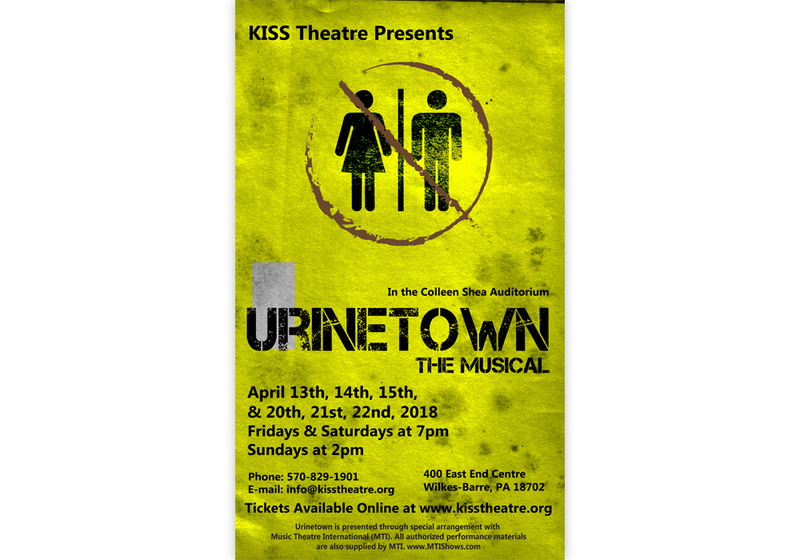 Not only that, but at the end of each run of a production at Kiss, all of the children sign a poster and it gets auctioned off to help raise money to give scholarships to children who cannot afford the production fees. 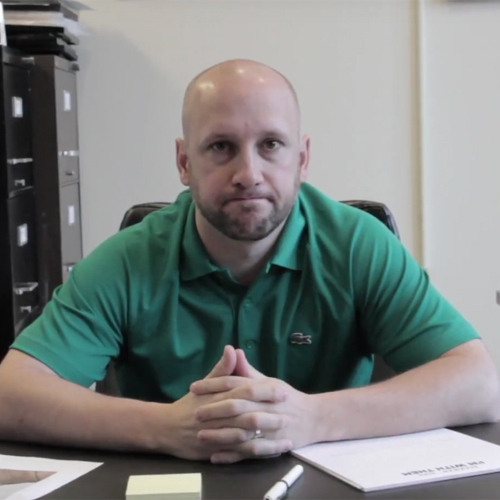 Kris Jones is one of NEPA’s most well known businessmen. 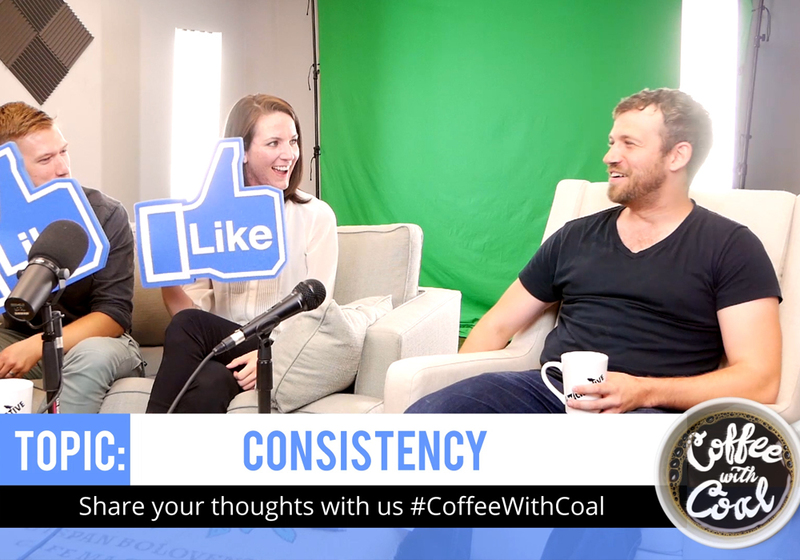 When he came to CoalCreative and tasked us with collaborating with him on 100 live streamed videos in 100 days, we took on the challenge. 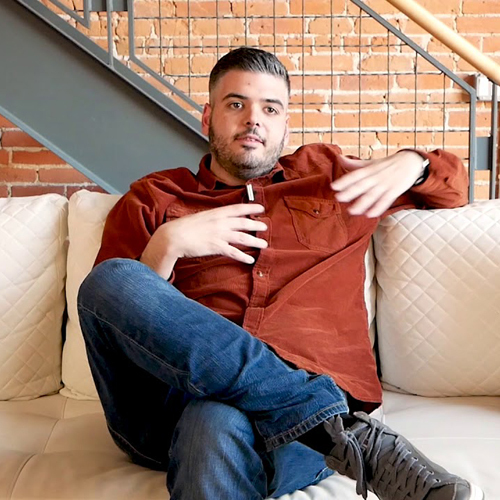 Kris Jones launched this series to share his insights and success in business and life, and CoalCreative is so glad to have been able to be part of it. 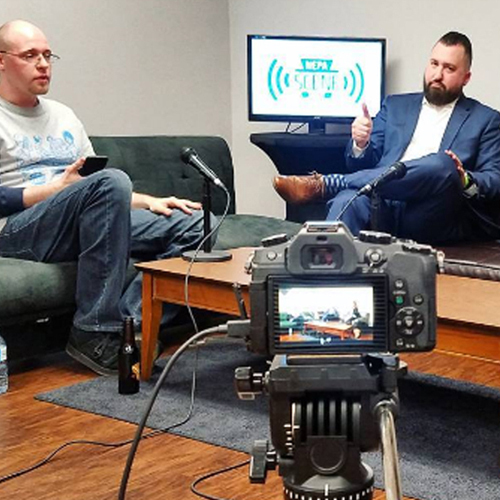 The NEPA Scene Podcast is not only live streamed by CoalCreative, but is held every Wednesday night out of CoalCreative’s office on Public Square in Wilkes-Barre. 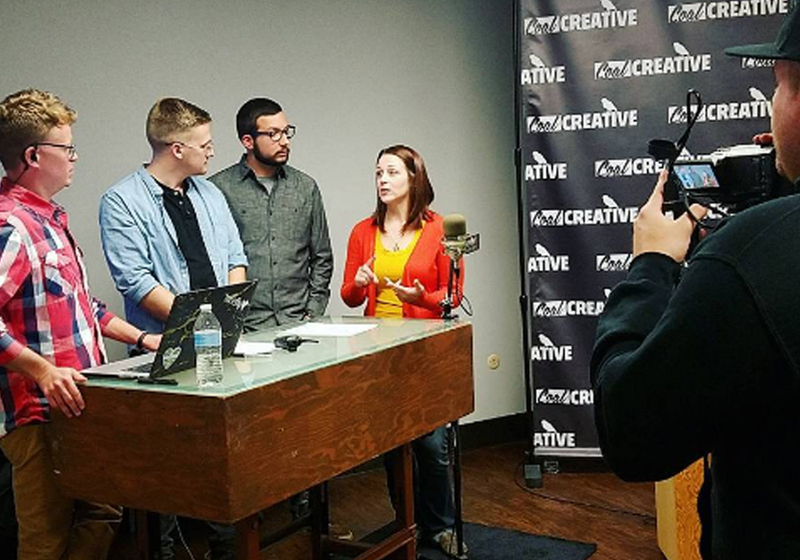 CoalCreative loves working with the NEPA Scene crew on the podcast every week, and so do our interns every semester. Having the opportunity to host local artists in our office every week stays true to CoalCreative’s mission of storytelling through our work. 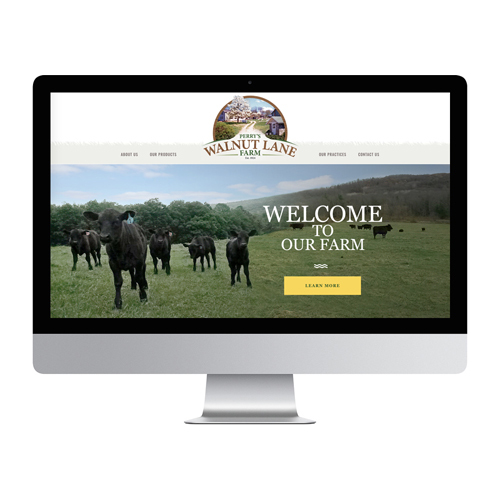 Perry’s Walnut Lane Farms came to us with the task of creating an entire online presence for them, including a website and logo. They wanted to stay true to their roots and including their history. This long family run business was thrilled with the result, featuring bright but neutral colors and photos that showcase their traditional, family oriented mission. This is one of our senior designers favorite logos he has ever created here at CoalCreative. 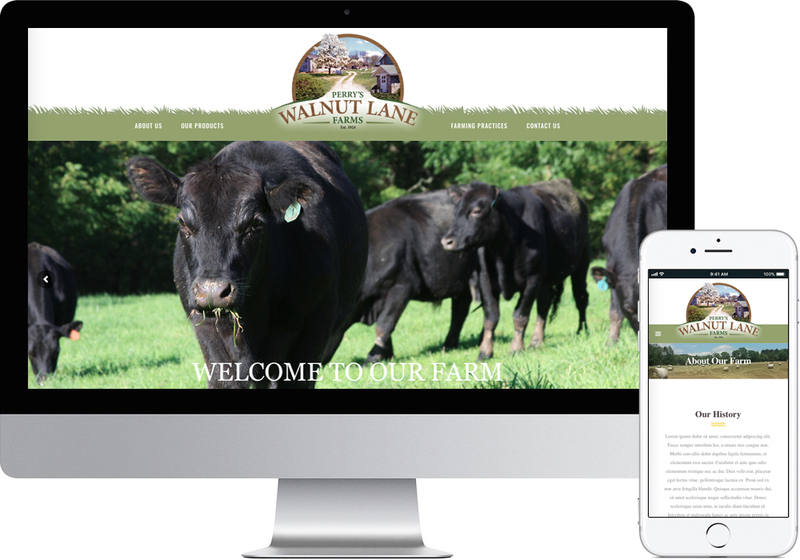 Perry Walnut Lane Farms came to us with the task to create a website and logo for them that stayed true to their story of tradition and family. 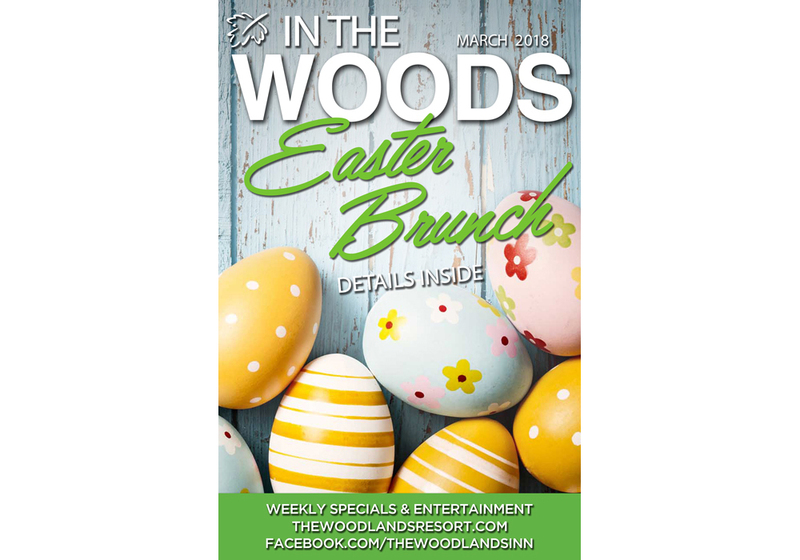 The logo features the actual walnut tree lined lane leading up to their families farm that was created from an original photograph. Pinnacle Rehab’s Kevin Barno was a little nervous upon deciding to be the face behind his rehabilitation center in a few videos. However, he ended up being an absolute natural behind the camera. His charisma combined with our teams videography skills made for timeless and informative social media videos. 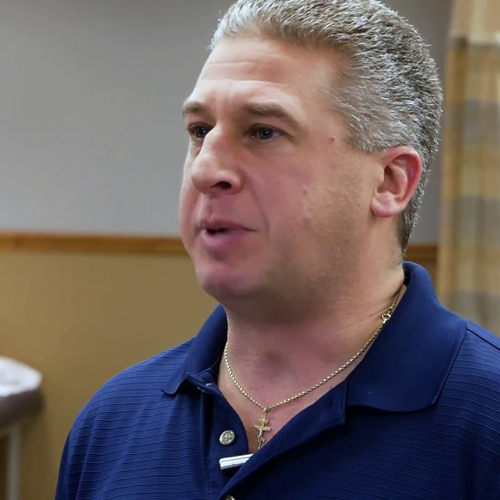 Pinnacle Rehab’s Kevin Barno was a little nervous upon deciding to be the face behind his rehabilitation center in a few videos. However, he ended up bring an absolute natural behind the camera. His charisma combined with our teams videography skills made for timeless and informative social media videos. 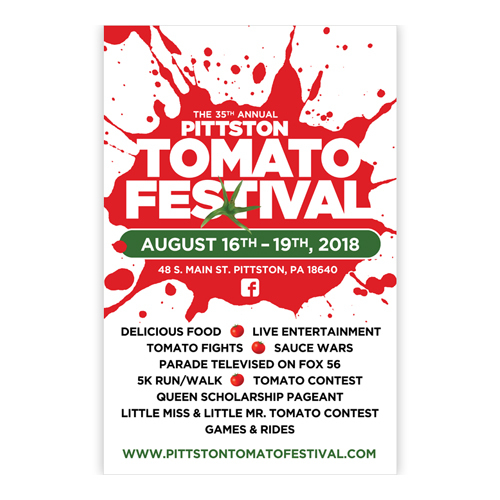 The 2018 Tomato Festival committee needed a fun, eye-catching poster design to help spread the word. 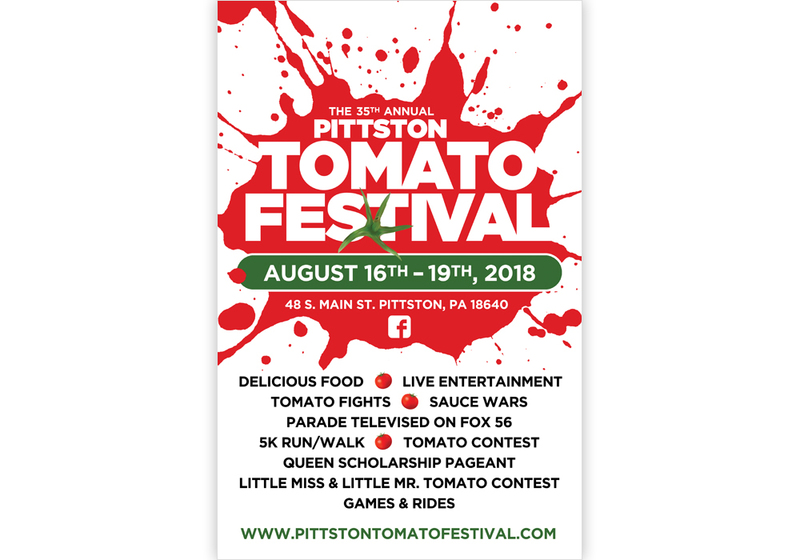 Delicious food, a variety of live entertainment, a parade, 5K run, games, rides, arts and crafts, bingo and of course home-grown Pittston tomatoes keep bringing an enthusiastic crowd to the festival year after year. They shared the design concept they were looking for and our lead designer took it to the next level by making it look like a tomato was splattered against the page! 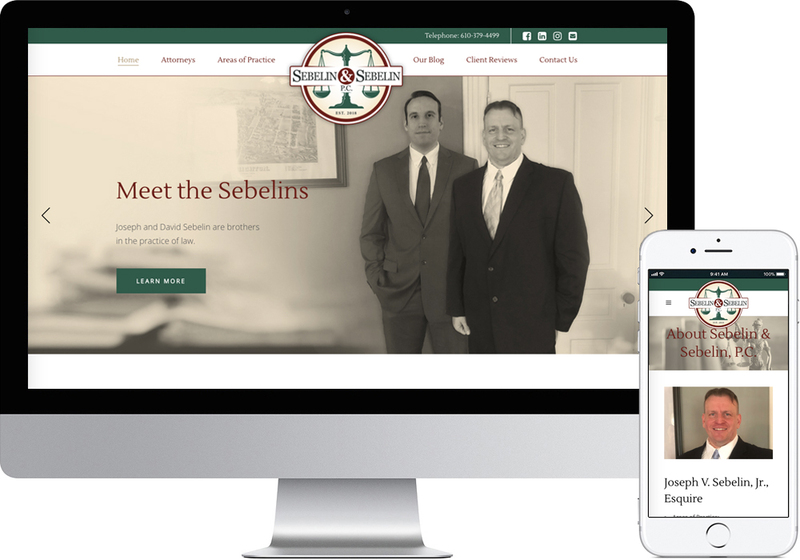 Sebelin & Sebelin are two brothers in the practice of law and came to us in need of a logo and website to launch their new law firm in and near Northeastern Pennsylvania. 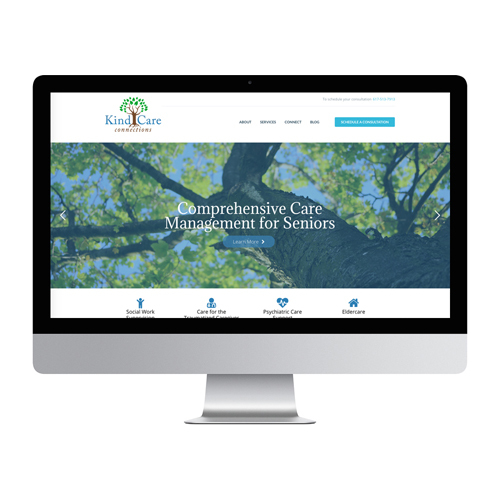 Once completed, we used their new logo design to create the color scheme as well as the overall look and feel of the website. 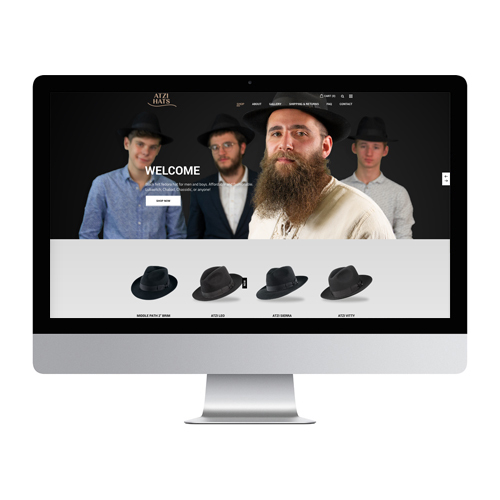 We worked closely, and efficiently, with the Sebelin brothers to gather the content and copy needed throughout the site. They even sent along photos they took themselves to truly make it their own. 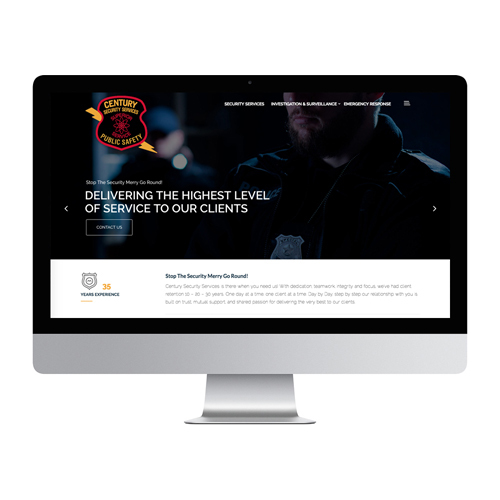 One stop at their new website provides you with background information, their areas of practice, the counties they serve, client reviews, their self run blog, and of course all of the necessary contact information to get started with them today! 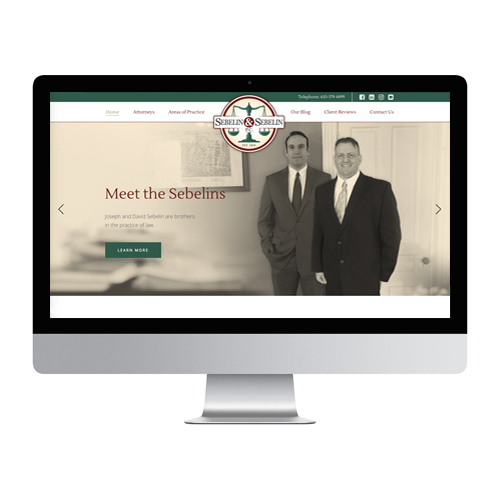 The Sebelin brothers came to us at the start of their new law firm. To start, they wanted a logo with a traditional law feel that would represent their brand appropriately. They also needed a logo that would hold its ground in a black & white version as well for stationary purposes. 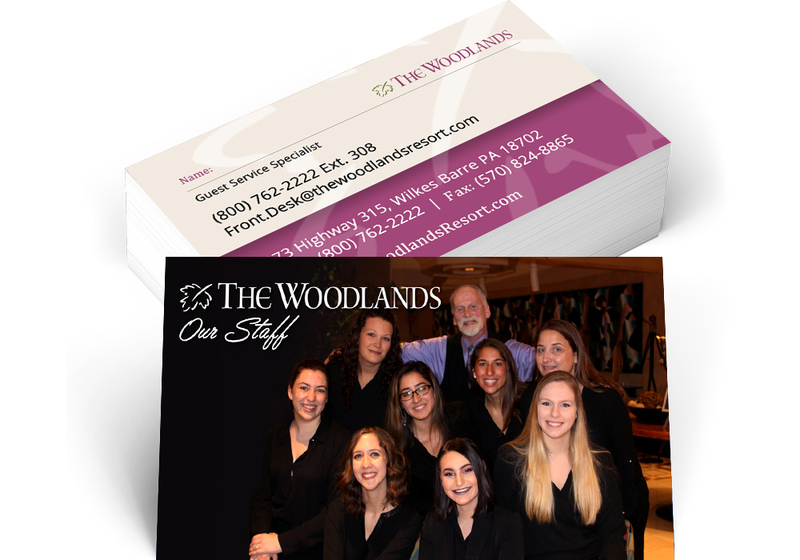 Fun fact: The colors they wanted us to utilize were pulled from a photo of their new office space in Lehighton. 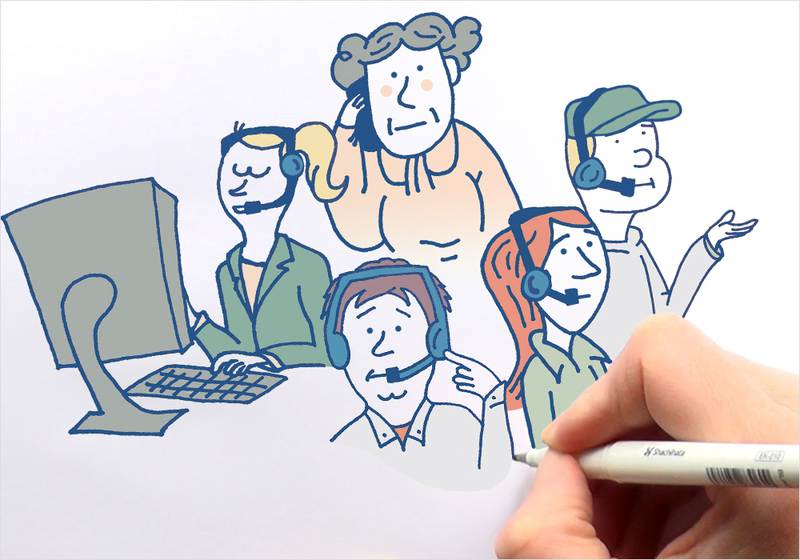 We worked closely with our friends at Signallamp Health to create this animated overview video for their organization! 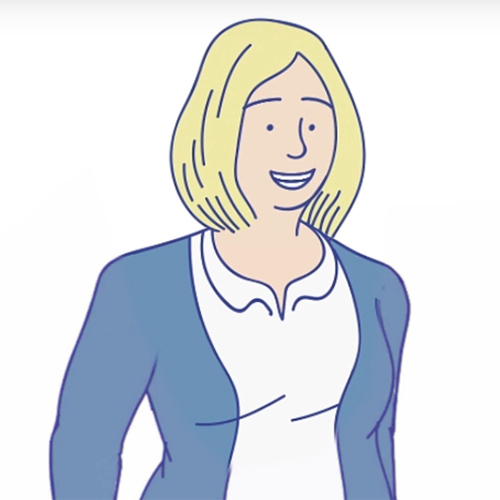 We brought on a new team member who focused on the animation aspect and collaborated with our video team to piece together the finished project. Our director even had a part as the voice over in this one! It was an incredible opportunity for us to expand our efforts and tap into new talent within the area. Needless to say, it was a fun and simultaneously beneficial project for the team here at Coal. 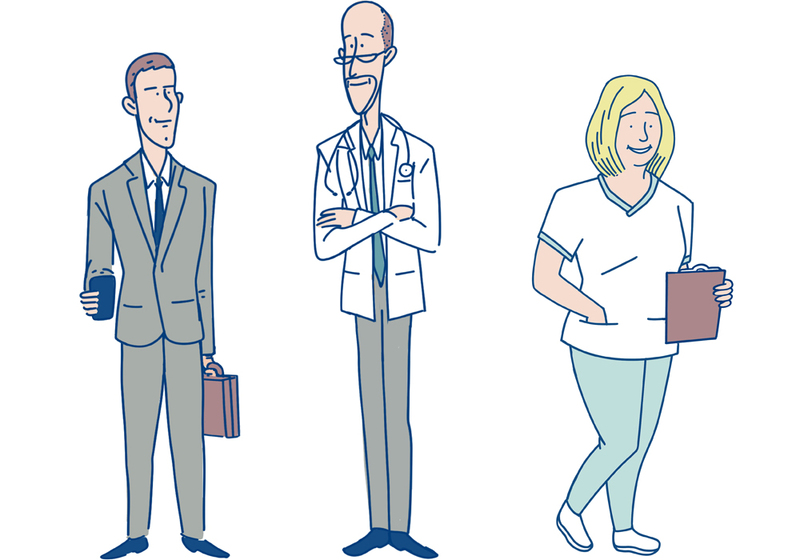 In our second Animation collaboration with Signallamp Health, they wanted to put a focus on what their processes look like. 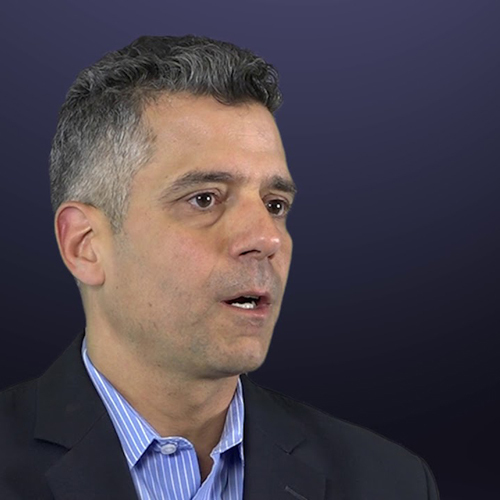 What is the ebb and flow between a nurse and patient, how easy is the process to update medical records electronically through their systems, and more. This project was another fun opportunity for Coal Creative to expand on our animation techniques and work with voice over artists once again. 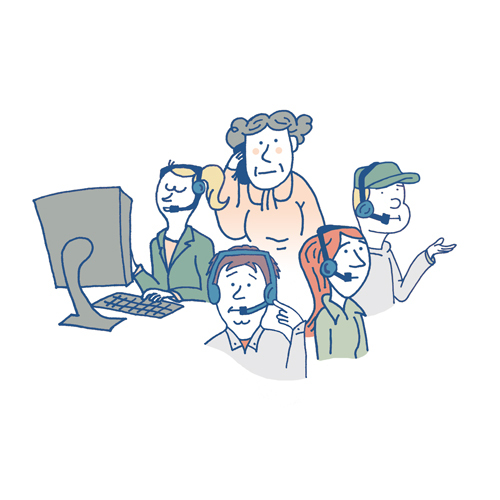 The Signallamp Health Website features multiple illustrations done by our amazing senior designer Matt. Outside of designing websites, he is also an artist in multiple mediums, so being given the opportunity to illustrate for one of our clients was a dream. 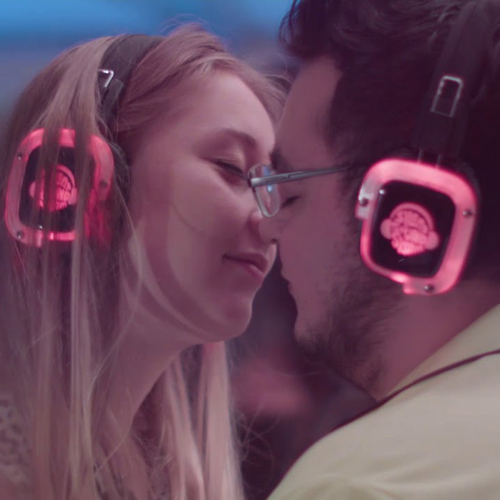 Brad and his team needed a video highlighting PA’S Premier Silent Disco Company: Silent Sound System. We geared up and headed to an event in Scranton, PA to capture the footage necessary to complete this project. The video highlights how the equipment works and the way the colors of the headphones signal which DJ people are currently listening to. Silent Sound Systems creates unique event experiences, especially those after-hours, for everyone. 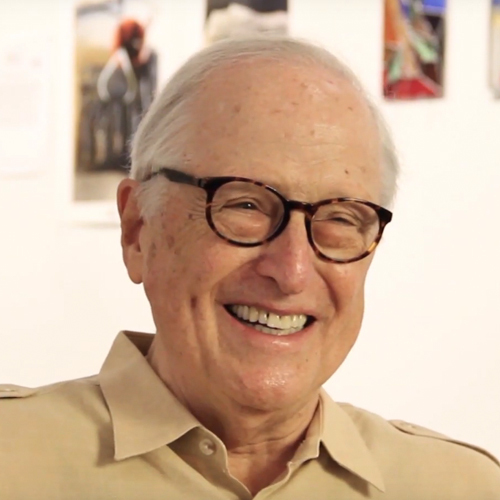 In anticipation for an event featuring Doug Menuez, world-renowned photographer and writer of “Fearless Genius”, Jamie Smith, founder of Social Fabric Collective reached out and asked if we would accept the role of media sponsor. 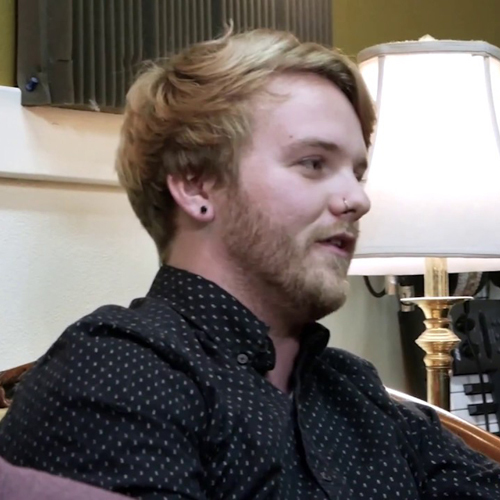 With only 2 weeks til the event, we created a short documentary titled “Taken By Pictures” which featured Jamie, speaking about what photography means to him, and why he does what he does. Over three shoots, we captured Jamie in action and edited the piece together with the incredible photos captured by his students. 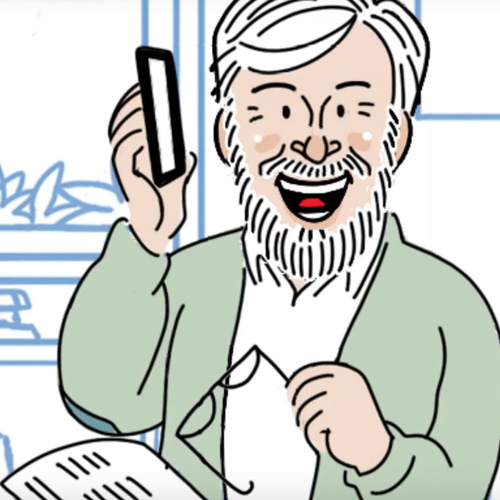 Special Guest App videos are some of CoalCreative’s favorite video projects. This is because our team has a collective love of music and performing arts as a whole, and Special Guest video projects gives us the opportunity to meet up and coming musical artists and performers. Each Special Guest App Project features an interview with the individual as well as a performance video, giving the viewer a complete picture of the artist as a whole. Sugar Plum Chocolates is a local purveyor of chocolate confections. Around Easter 2018, CoalCreative got the opportunity to work with them on a promo video for their newest chocolate bunny. 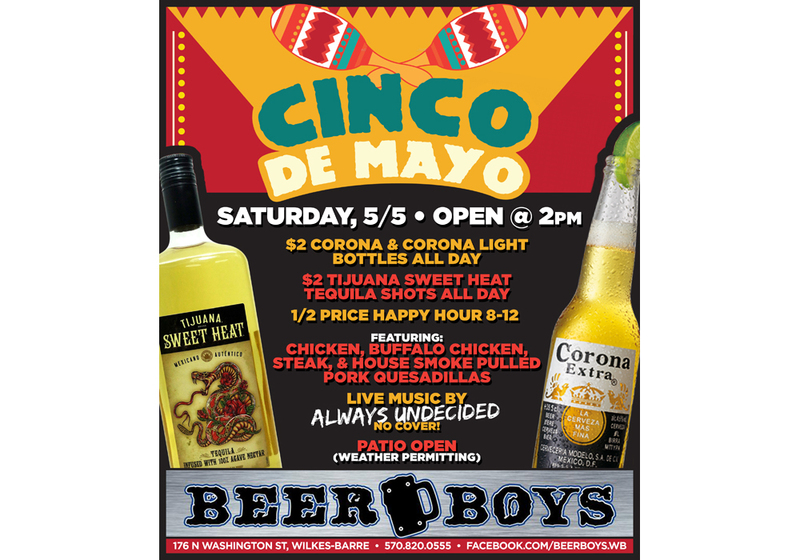 We love being able to work with our fellow local small businesses on fun projects like this one! 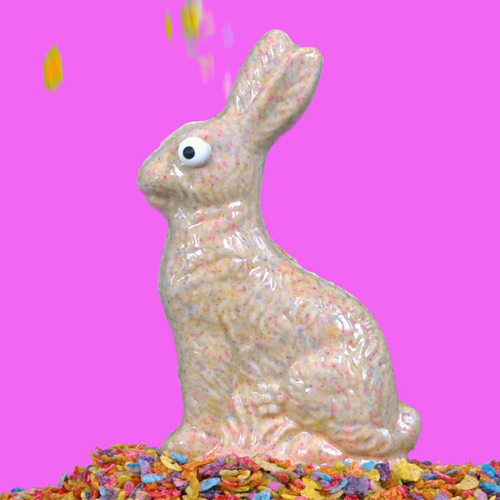 Fun facts: The milk pour was actual milk AND we were able eat the chocolate bunny afterwards. 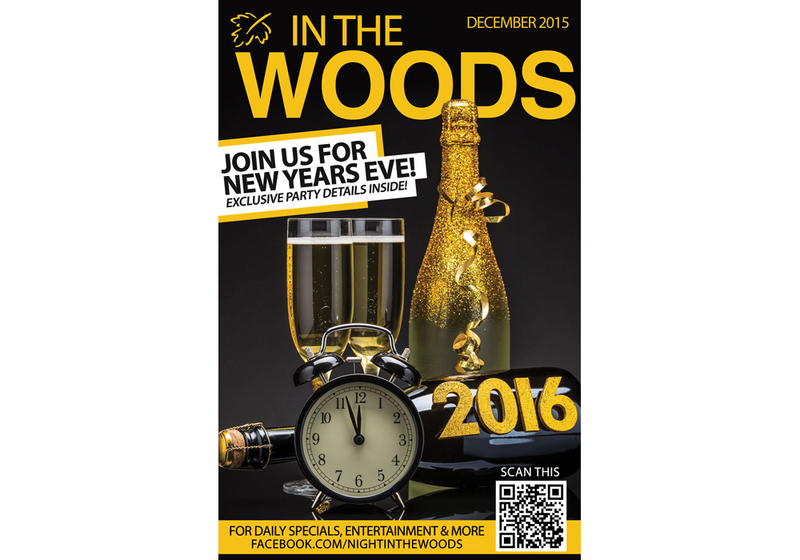 The Woodlands is one of CoalCreative’s long time clients. When they came up with the idea to rename their outdoor wedding venue The Bridal Gardens, this meant creating a new logo to go with the new name. The choice of font very strategic and necessary to ensure that the words were dainty and fluid. The colors also fit with The Woodlands logo color scheme. 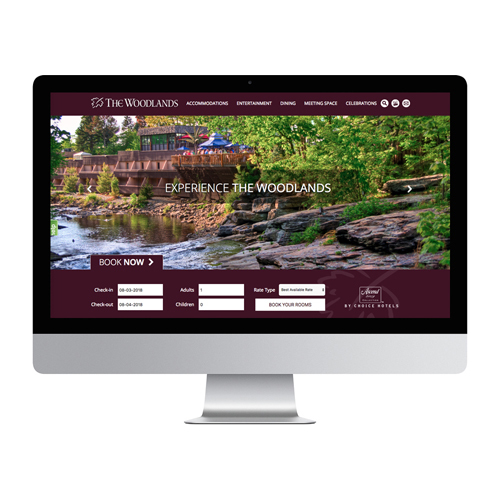 The Woodlands website was one of the most intricate websites we have ever created. Not only did it have to be professional and engaging, but it had to be functional. 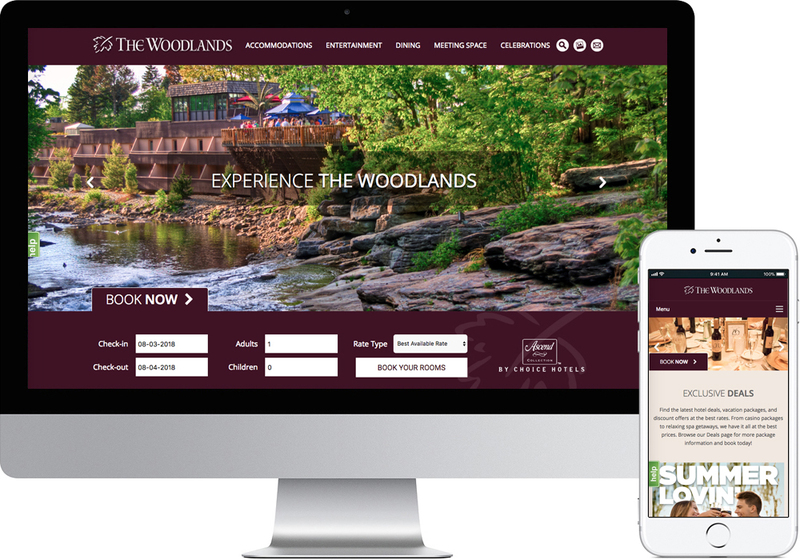 The Woodlands Hotel and Resort needed a website that could make creating reservations and exploring packages easy for potential guests and customers. It is also the sort of website that requires regular maintenance. CoalCreative offers maintenance packages with every website we create, making it easy for our clients to rest easy. 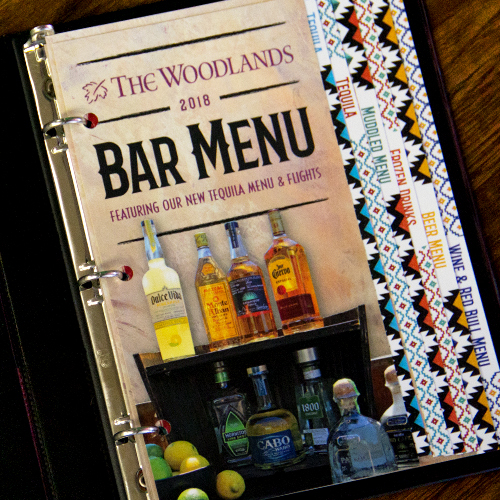 With the opening of the deck in 2018 at The Woodlands came the unveiling of their new Tequila Bar. This is where the idea of a southwestern theme came from, and CoalCreative created a new deck menu that completely embodied this theme. 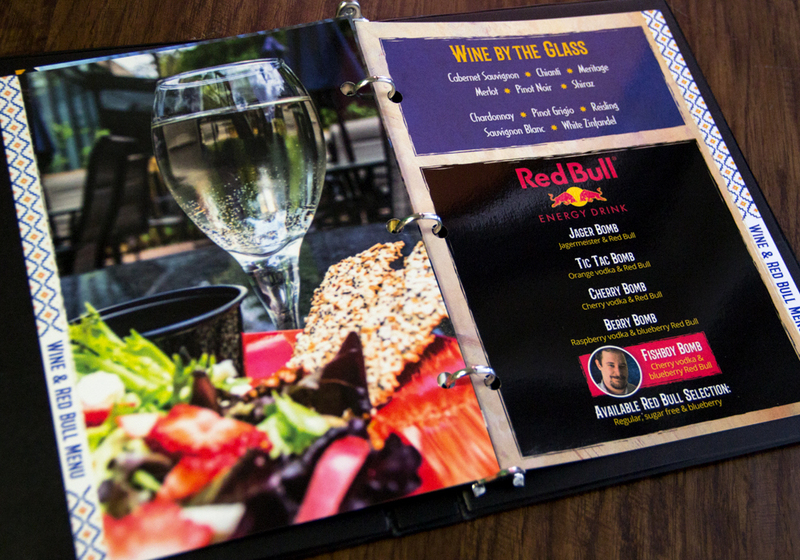 Every month, CoalCreative creates a mini bar magazine that is distributed around the hotel. 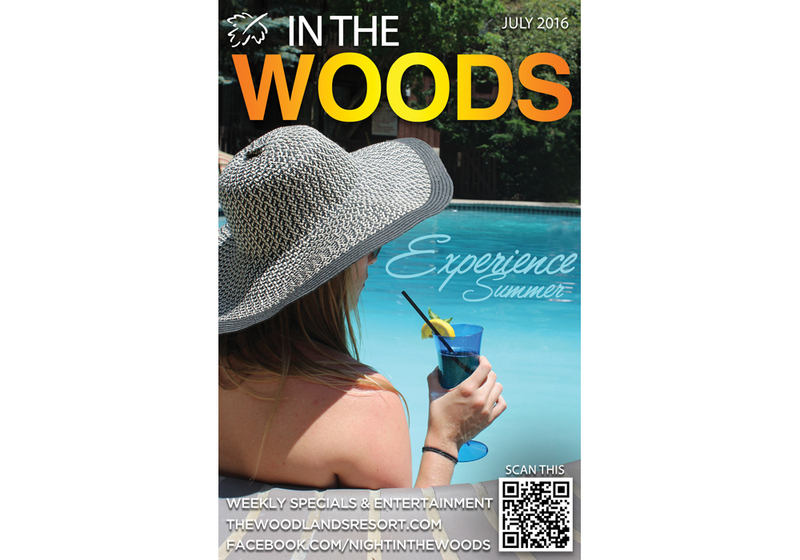 This zine contains all the info a guest would want to know about entertainment and specials going on that month. 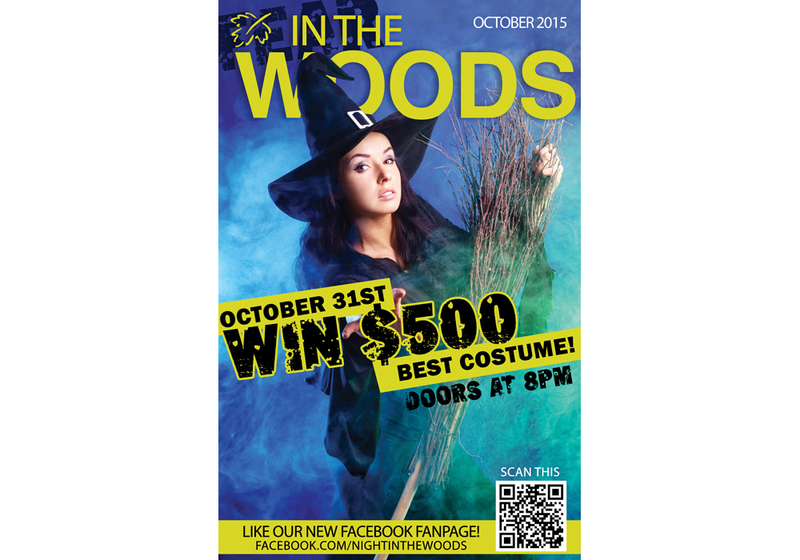 We always have so much fun creating these every month! 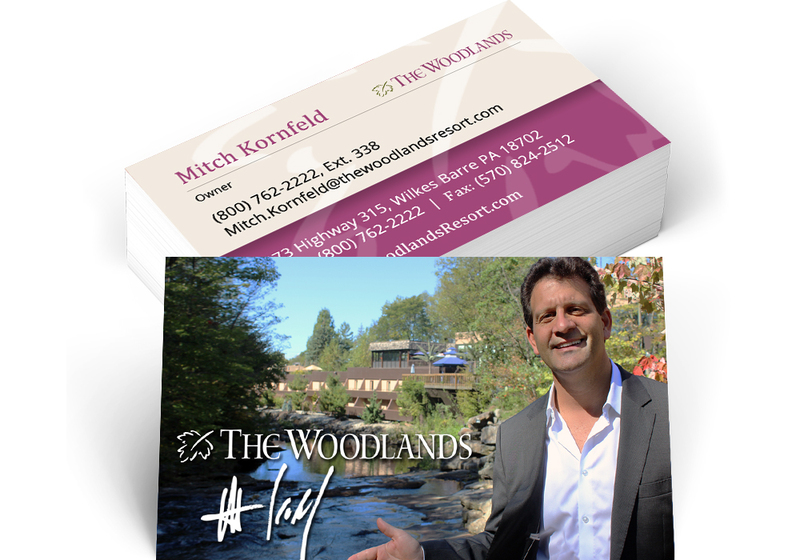 The Woodlands Business Cards are not your typical business cards. They are personalized to each staff member with their photo on the front. Not only that, but they are all shot in a different location in and around The Woodlands property. 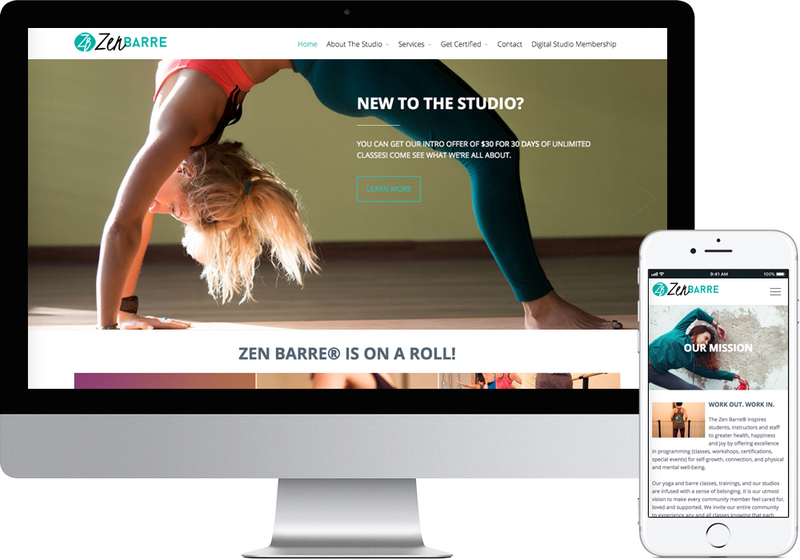 The Zen Barre was a client of CoalCreative’s that had a clear mission, goal and theme they wanted for their website. Since they wanted the color scheme to stay within the colors in their logo, you will notice throughout the site not only links and texts in this cyan color, but also the clothing in the photos being reminiscent of it as well. 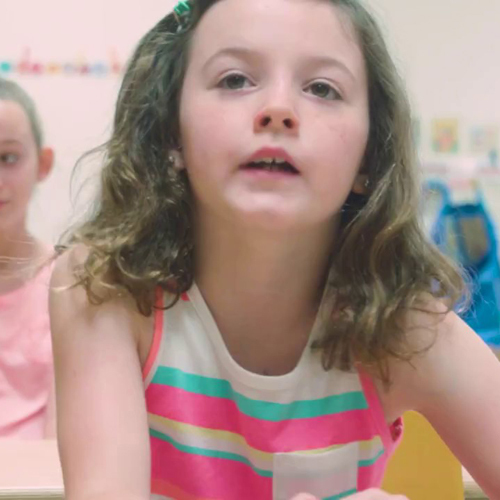 The team at The United Way of Wyoming Valley came to us with a need for a powerful video showing the important work they do throughout the area. This video would be used at their Annual Campaign Kickoff and throughout the year as they met with various businesses to show existing and potential donors how their contributions are helping the individuals who benefit from the United Way and their community partners. 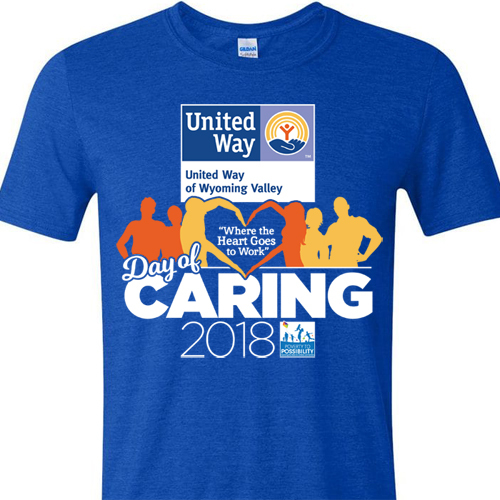 Each year, the United Way of Wyoming Valley makes it a focus to change up their video themes while remaining true to their mission. In 2018, the UW of WV wanted to focus on spreading the word on how donors financial contributions are utilized – more specifically the incredibly positive impact they are making on the lives of children and their families in poverty. 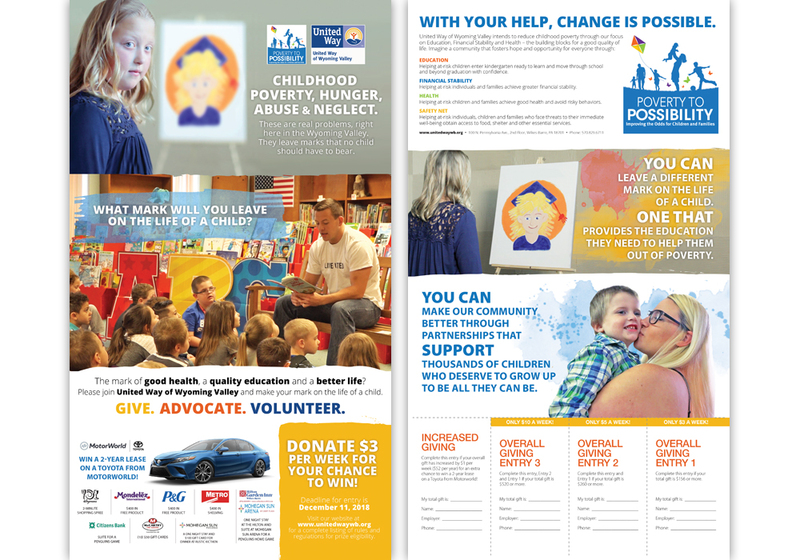 For the last two years, CoalCreative has created the posters and mailers needed by the United Way of Wyoming Valley for their Annual Campaign. The concepts of these print designs come to life from the video concept we also have the pleasure of working on to keep the branding aligned. The mailers are sent out to thousands of donors and the posters are hung all throughout local businesses and organizations. 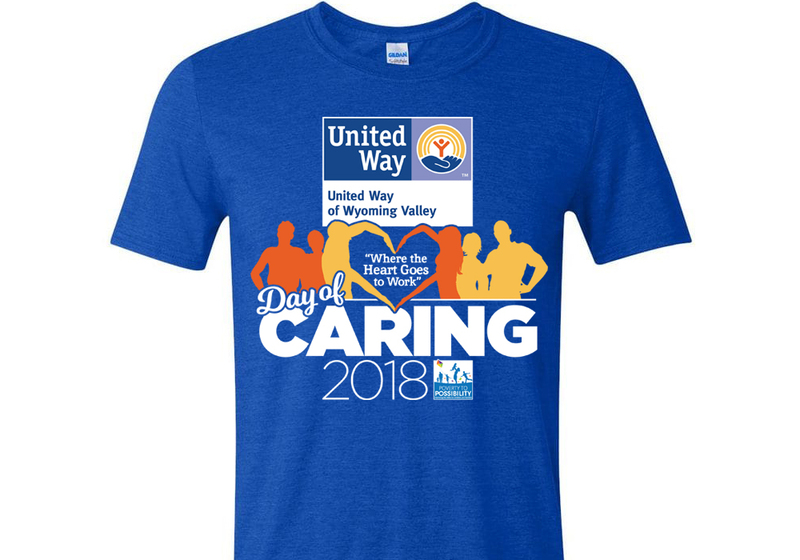 In 2018, the United Way of Wyoming Valley had the idea to create their Day of Caring t-shirt logo design around a quote they use and hear often within their organization: “Where the heart goes to work” Their request was to include their two necessary logos and the name and year of the event. Our lead designer pieced together this design with the heart and people in mind. It was exciting to see a few hundred people wearing them all throughout NEPA on the day of the event! 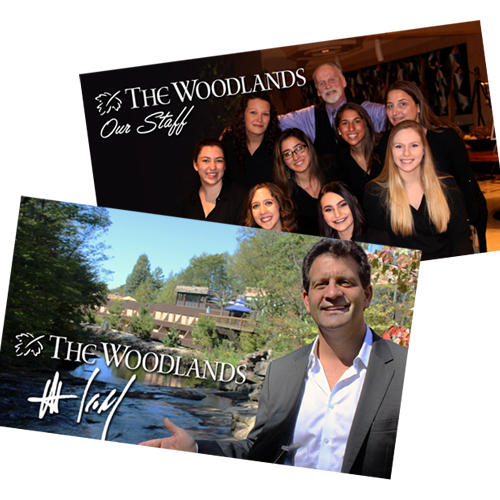 The Woodlands has a large staff that is also very diverse. This helps in terms of customer service, as a good portion of the staff is able to speak another language other than english. 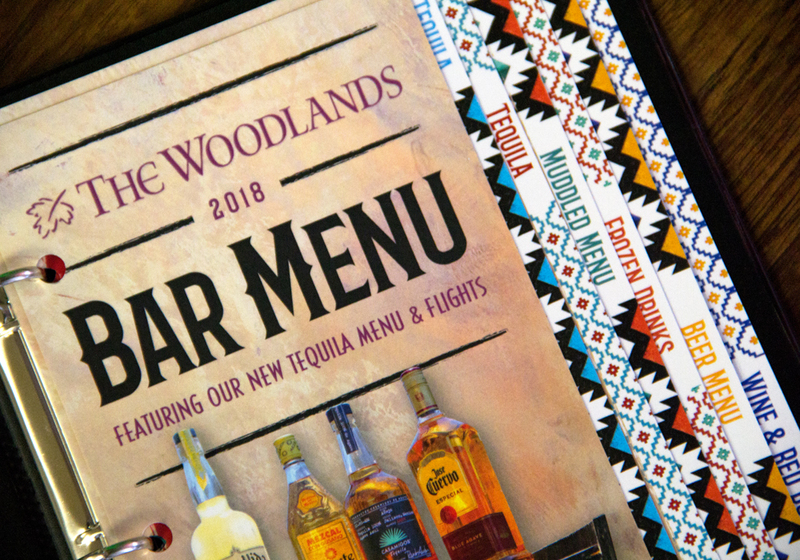 It was this that prompted the Welcome to the Woodlands video that features actual staff members simply stating “Welcome to the Woodlands!” in their native tongues. 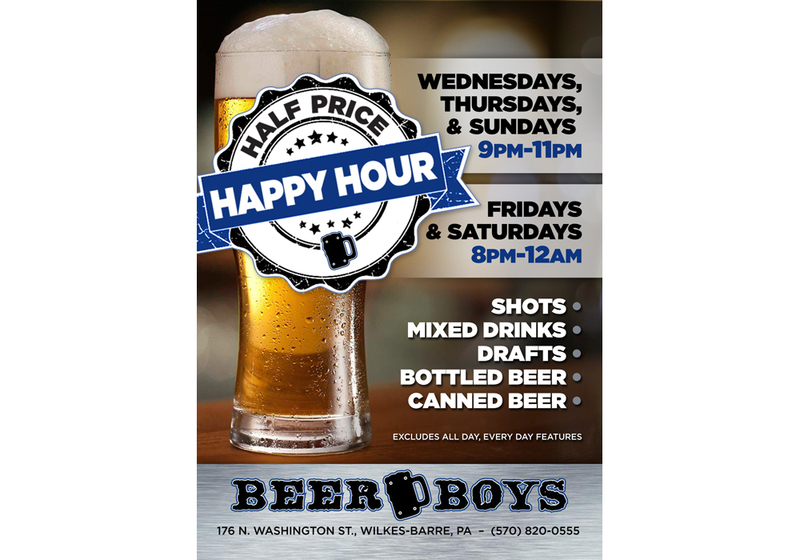 The Wilkes-Barre Chamber of Commerce events are some of the most well known in our area. Doing the red carpet is so unbelievably fun, especially when we get the chance to work with one of CoalCreative’s closest friends, Anthony Melf, who is an amazing red carpet host. 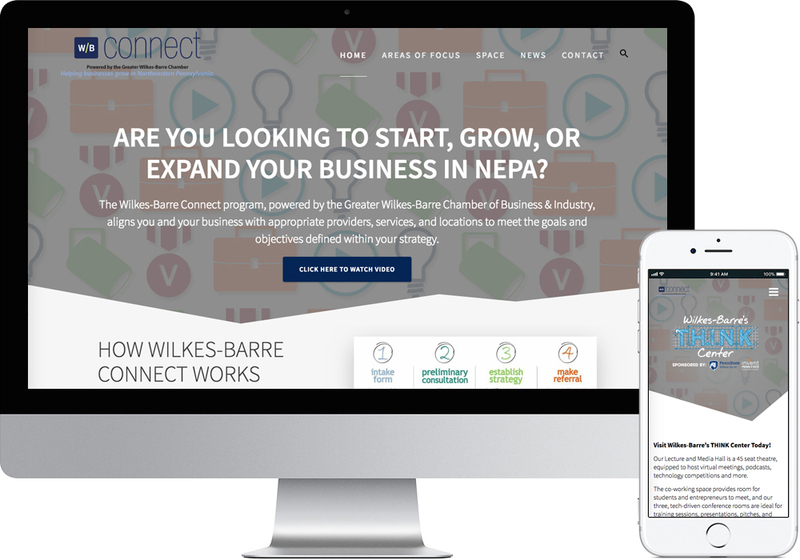 Wilkes-Barre Connect is a client of CoalCreative’s that we support strongly due to their mission of helping small businesses. Being a small business ourselves, we love their commitment to seeing organizations like ours succeed. 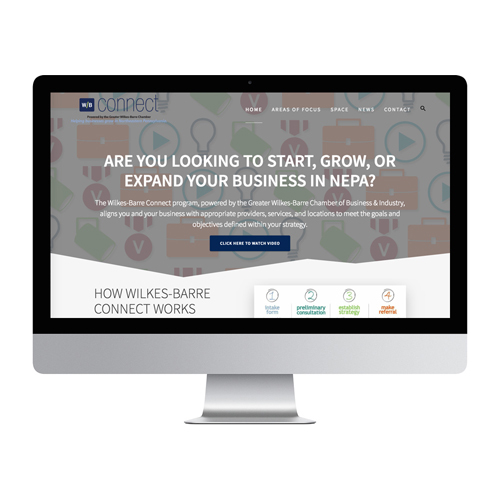 Wilkes-Barre Connect has 5 different programs, and each program is represented with an icon. Those icons are found all throughout the website, making it colorful to the eye and easy for individuals navigating it to find exactly what they’re looking for. The Farmers’ Market logo features a rustic feel. The MARKET font as well as the lines are slightly grittier than the other fonts used in the logo. It is this juxtaposition that makes this logo compelling and interesting to look at. Also, did you notice that the lines actually create a square meant to resemble our public square that The Farmers’ Market is held on? 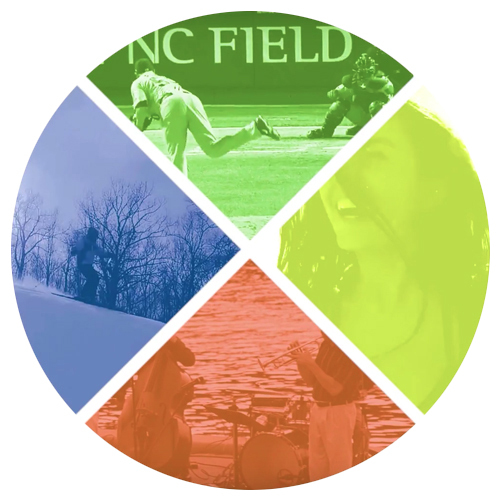 Did you know that the THINK Center logo is one of four that were actually created? Our senior designer at CoalCreative was tasked with creating logos to go with four different name ideas presented by four different students from four of our local academic institutions. In the end it was the THINK Center that came out on top. The THINK Center is a hub for innovation and creation, making the blueprint style of the logo extremely appropriate.